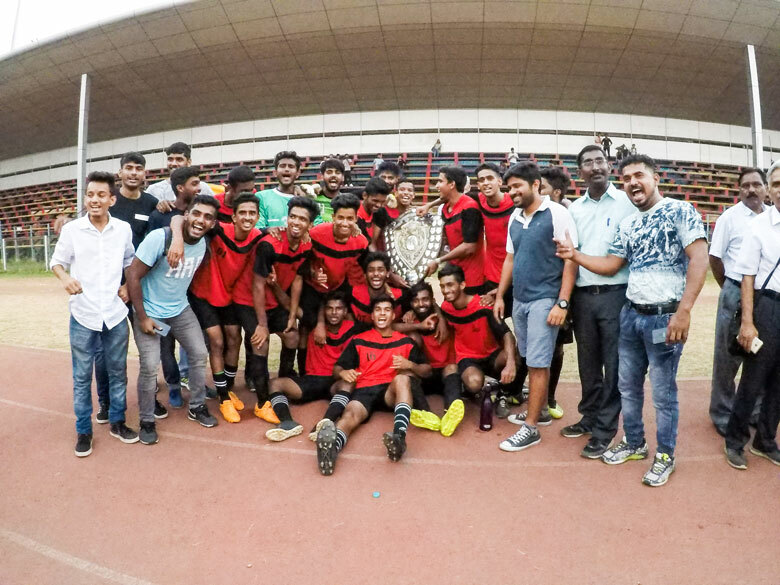 The Pillai College Football team defeated Thakur College 2-0 to be crowned the 2018 Mumbai University inter-college Football Champions. The match was played at the Mumbai University Grounds in Marine Lines under some sweltering heat. 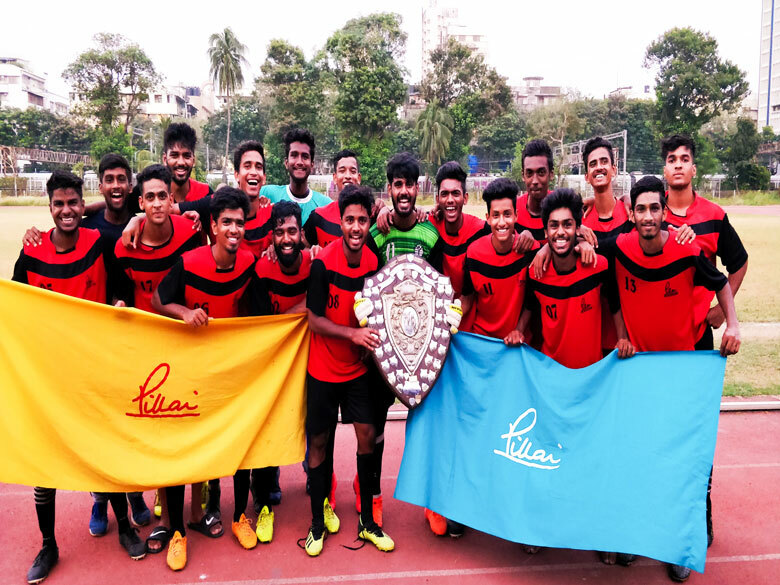 The star of the show was undoubtedly striker, Ashish Lalge who scored two amazing solo goals in the second half to make sure Pillai College won the title this time around after falling in the finals the last two years. 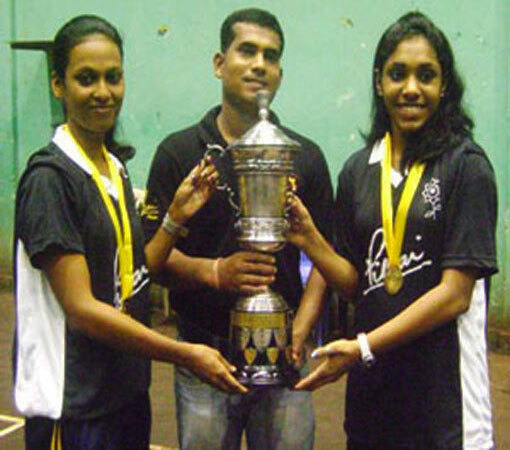 This was Pillai College’s 2nd title and 6th consecutive time playing in the finals. More than 200 colleges participated in the tournament. The first half was an even encounter and ended with the score locked at 0-0 with both teams battling hard on the defensive end with Pillai's midfield duo of Yash Vanveru and Vinod Pandey forming a rock solid core for their team. A lot of the players looked tired and weary since they were playing their 4th match in the space of 4 days under some scorching temperatures. With the contest evenly poised till the 60th minute, it took a moment of individual brilliance to break the deadlock. Pillai’s star striker, Ashish Lalge picked up the ball on the right wing, cut back inside and unleashed a powerful left footed shot from outside the box to beat the diving keeper. It seemed as though Pillai would cruise from then on but a lapse in concentration sent a Thakur player through on goal and Pillai defender Abu Hamza had no option but to foul him. He received a red card for the foul and Pillai were down to 10 men for the final 15 minutes of the match. Thakur College were looking to pile on the pressure but Ashish gave Pillai some breathing room after he scored his second goal soon thereafter from a very similar angle to his first. Pillai College held on despite some nervy moments to win the match 2-0 in front of some boisterous support from their students who had packed the stands to witness the match. This was Pillai College’s 2nd title and 6th consecutive final appearance with captain Daniel Muthu having been part of both victorious teams. 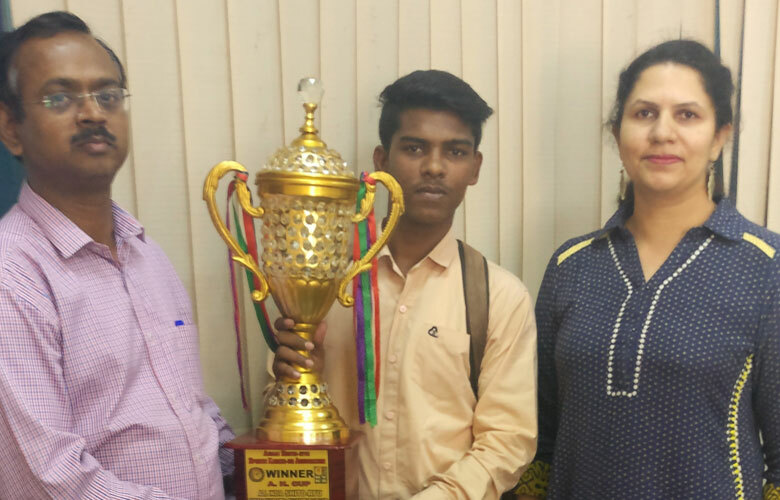 He was overjoyed with his team’s performance and took the time to thank his coaches Mangesh Desai and K.T John for their motivation and support. The Sports Director of Pillai College, Mr. Padmakshan Padmanabhan was really proud of the way the team played over the course of the last two weeks under the extreme Mumbai heat. 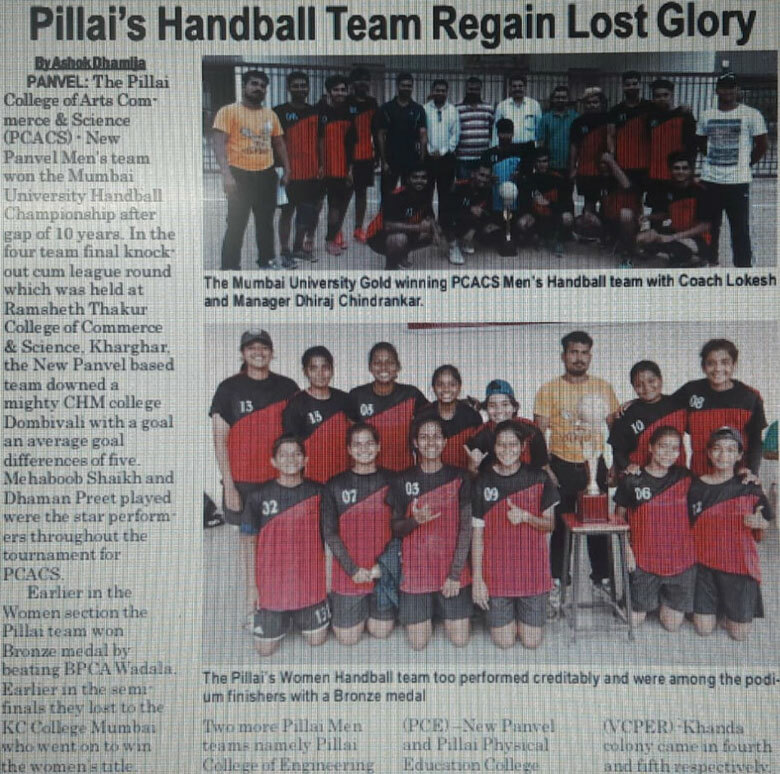 He pointed out that this was their 2nd Team gold medal for the year as the Pillai Handball team won the Mumbai University Handball Championship as well. Pillai College has been producing some top footballing talent in the past few years with many of their players now playing at the highest levels in Indian football. Rahul Bheke, one of India’s best defenders, currently plays for ISL side Bengaluru FC. Nikhil Poojary, who was part of the Pillai squad that won the title in 2015 plays for the Indian National Football team and recently signed a contract to play for the ISL team, FC Pune City. Defender Pratik Chaudhari is a veteran ISL player and currently plays for Jamshedpur FC. There are 3 other players who currently ply their trade in the I – League, Abhishek Ambekar (Mohun Bagan), Rahul Das (Minerva Punjab) and Vinil Poojary (Churchill Brothers). The squad that won the 2018 Mumbai University Football Title is listed below. 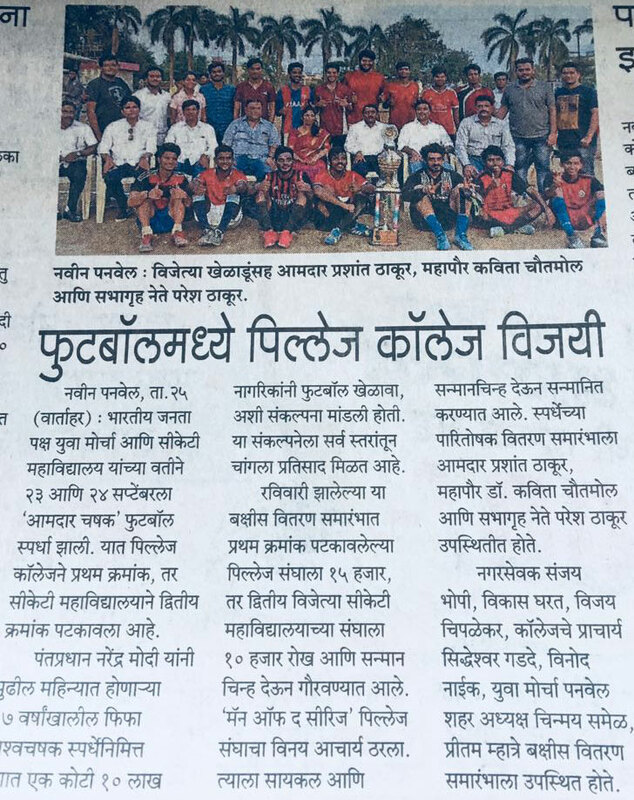 Daniel Muthu, Abu Hamza, Sunil Thakur, Abhijit Tawhare, Kartik Shetty, Ashish Lalge, Sylvester Fernandes, Kartik Yenurkar, Yash Vanveru, Vinod Pandey, Nitin Chaudhary, Saudagar Mate, Kaif Khan, Sanchit Singh, Saud Shaikh, Prathamesh Rokde, Nikhil Patil, Soham P.
The Upcoming star Taekwondo players of Pillai College of Arts Commerce & Science, New Panvel won 2 Gold Medals and 2 Silver Medals at IInd Mumbai Consul General Cup-2018 National Level Taekwondo Championship held at Pune from 18th - 20th October, 2018. The sibling Ayushi Bhakta (S.Y.) and her brother Kabir Bhakta (F.Y.) 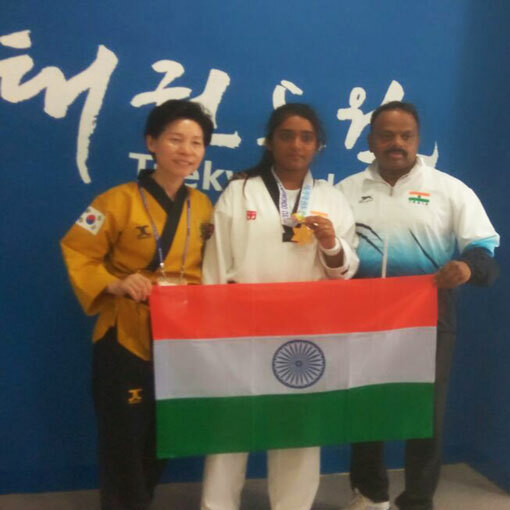 strikes Gold Medals and Ritesh Ramesh (F.Y.) won Silver Medal in the tournament. 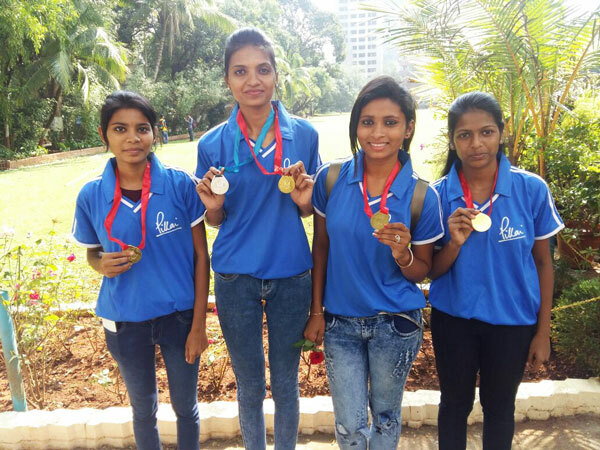 Pillai College of Arts Commerce & Science, New Panvel, Rifle Shooting Women Team won Peep Sight Bronze Medal and Mens Open Sight Silver Medal at Mumbai University Inter Collegiate Rifle Shooting Championship held at Tolani College, Andheri on 13th - 14th October, 2018. 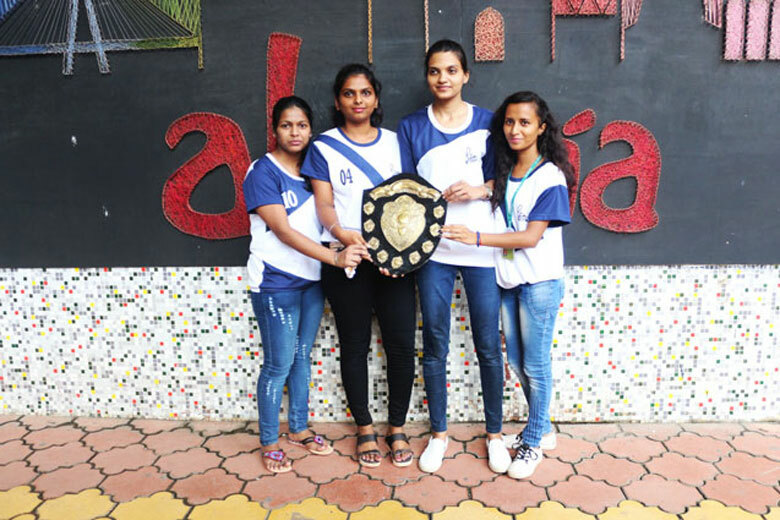 Pillai College of Arts Commerce & Science, New Panvel won Runners–up title at Mumbai University Soft Ball Championship held at CKT College, New Panvel. In their Semi Finals they beat a formidable Praksh College, Kandivali and storm in to the final. In the finals they challenged a four time defending champion Rizvi College and lost by a margin of just 2 runs. Subham Gupta and Rushal More played excellently well for Pillai team. The Boys Handball team of Pillai College of Arts Commerce and Science participated in the Mumbai University Handball Tournament conducted on 6th and 7th October, 2018 at Ramsheth Thakur College in Kharghar. On the very first day i.e 6th October the team played the Pre-Quarter Finals in which they bagged a huge win. 7th October was the bonafide and the deciding Day. The team had to play against all the teams as the Semi-Final had League of Matches. After all the sweat and injuries our team bagged the Gold Medal. Kudos to the teamwork of the team! 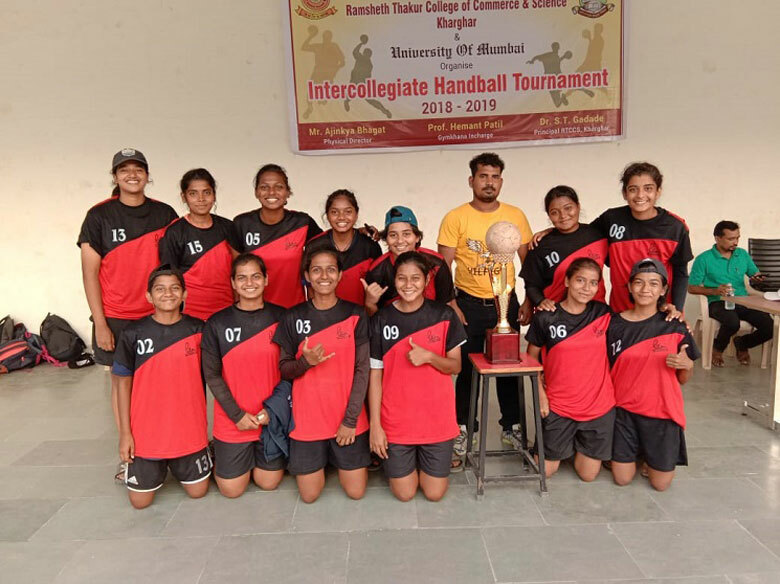 Pillai college of Arts Commerce and Science's Girls Team participated in the Mumbai University Handball tournament held on 6th and 7th October, 2018 at Ramsheth Thakur College. 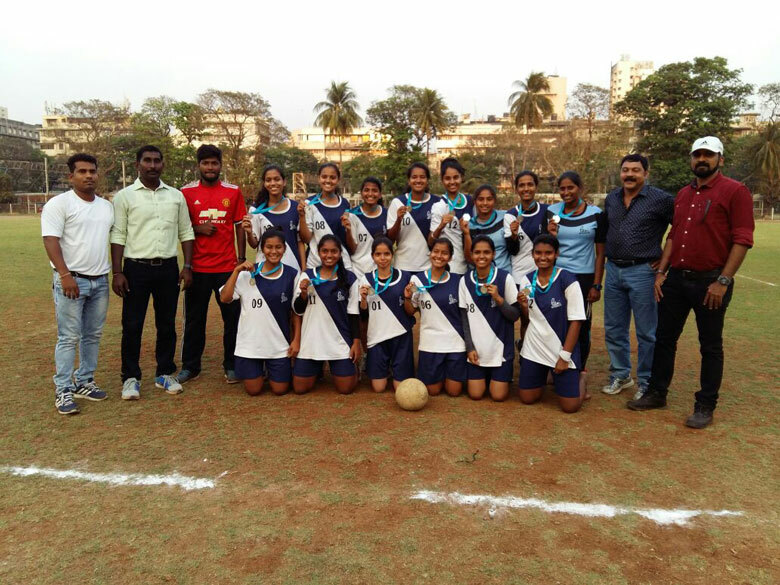 The finals for the same was held on 7th October in the evening against B.P.C.A., Wadala. The beginning was very stressful as our college team was 6 goals down but as the match proceeded we covered it all in the last 2 critical minutes of the match as we were 3 goals ahead. During the match few of our players were injured but it was worth it since our team had won a GOLD medal. Nikhil Pujari: Final Year B.Com. student of Pillai College of Arts Commerce & Science, New Panvel is selected for playing senior Indian Football Team for the Asia Cup Football Championship and also playing for the prestigious East Bengal Football Club in the National circuit. He is contracted for Pune FC for Indian Super League. Pradeep Ravria: T.Y. B.M.S. 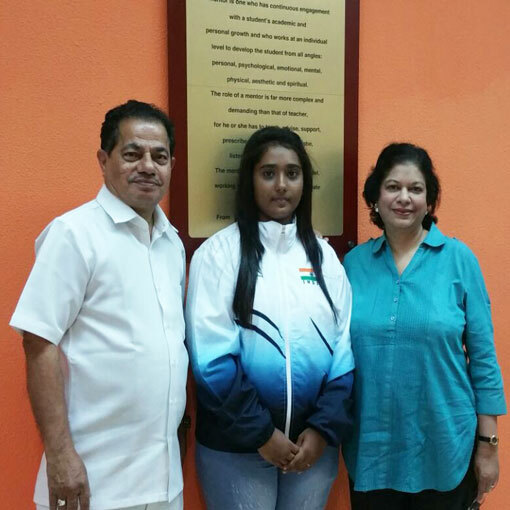 student of Pillai College of Arts Commerce & Science, New Panvel represented India and won Gold Medal at South Asian Junior Ball Badminton Championship held at Sri Lanka in November 2017. Kiran Jadhav: Second Year M.Com. 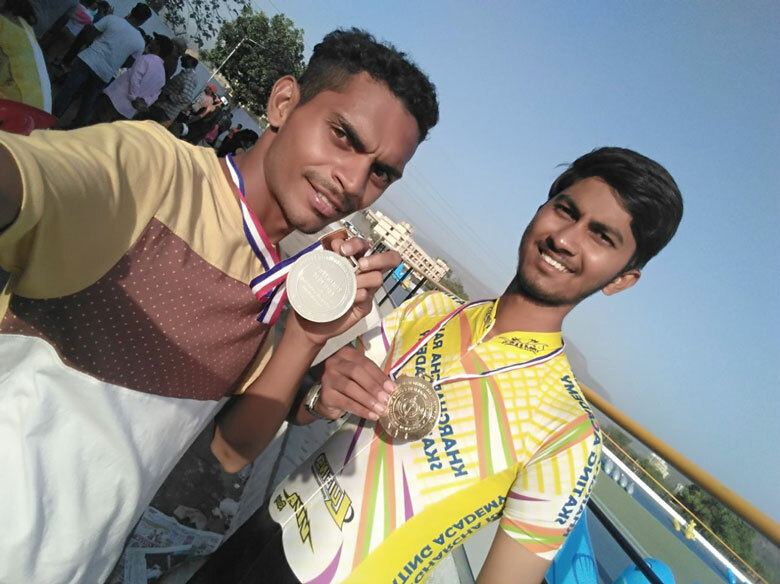 student of Pillai College of Arts Commerce & Science, New Panvel won Individual Silver Medal in All India University Rifle Shooting Championship held at Amritsar and selected in to the National Squad for various International Tournaments. PCACS won MES Inter Collegiate Sports Title: The Pillai College of Arts Commerce & Science, New Panvel won sports title of Mahatma Education Society for year 2017-18 for a third consecutive year. Our sports team has done us proud by securing the "4th Rank" in the "Guru Nanak Dev Inter College General Champion Trophy" for academic year 2017-2018. Rakesh Shinde of T.Y.B.Sc.(C.S.) 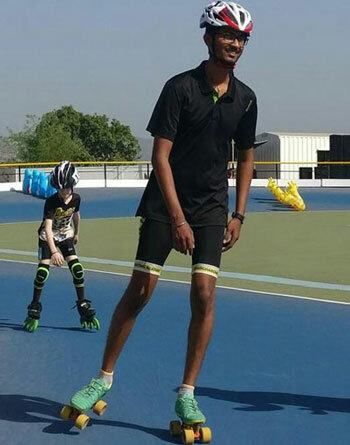 participated in 24 hours ZIGZAG Skating Relay Marathon - An attempt for Unique World Record from 21st to 22nd April, 2018. The event was organized at YAK Skating Rink, YAK Public School, Khalapur, Khopoli, Maharashtra. 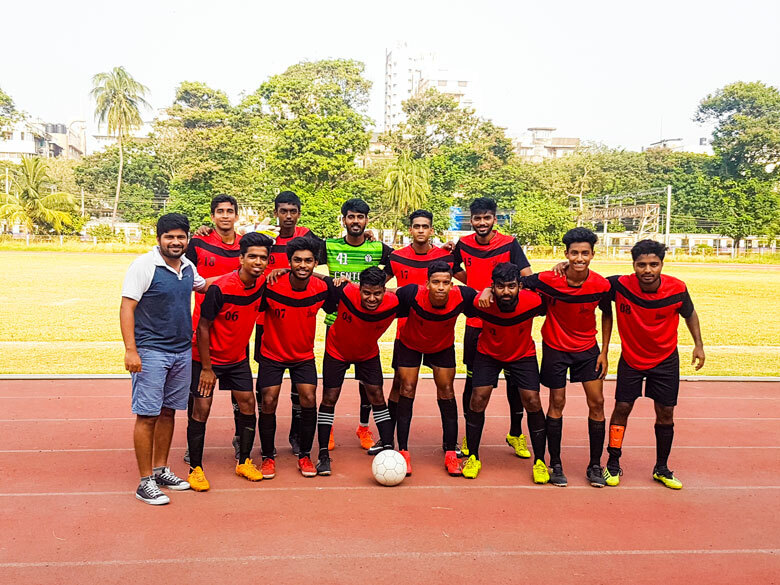 PCACS Football team won Silver Medal and Runners up title in the Mumbai University Inter Collegiate Football Championship held at Marine lanes on 26th February, 2018. 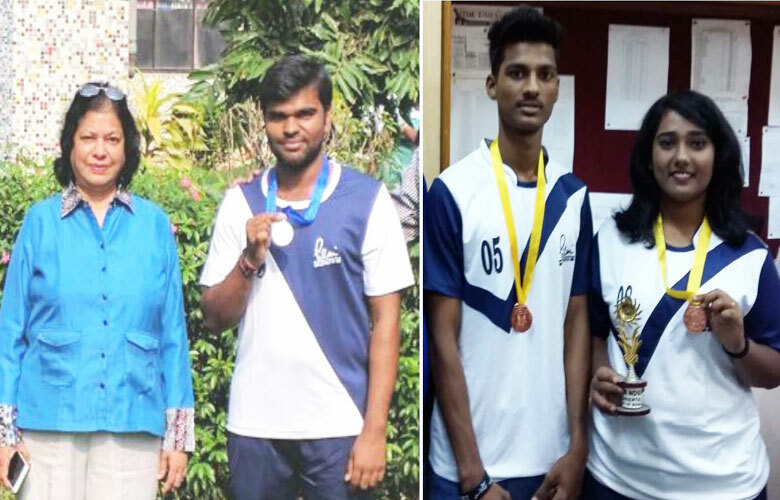 The following students of our college are selected to represent the University of Mumbai at All India Inter-University Ball Badminton (Men) Tournament 2017-18 to be organized by Yogi Vemana University, Vemanapuram, Kadapa (Andgra Pradesh). 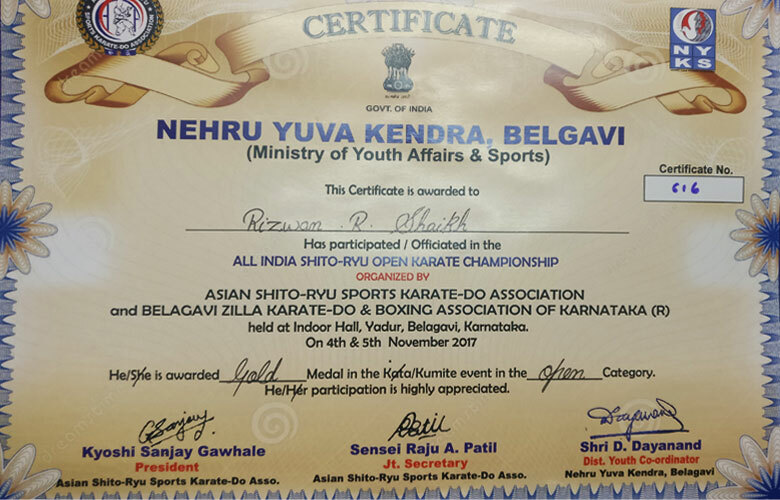 Rizwan Shaikh has participated/officiated in the All India Shito-Ryu Open Karate Championship organized by Asian Shito-Ryu Sports Karate-Do Association and Belgavi Zilla Karate-Do and Boxing Association of Karnataka (R) held at Indoor Hall, Yadur, Belgavi, Karnataka on 4th and 5th November, 2017. 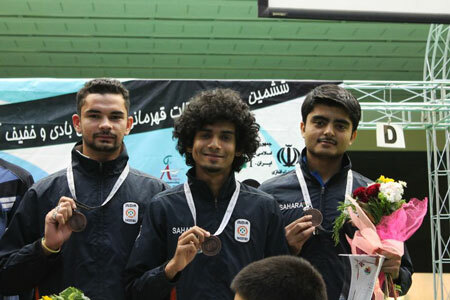 He is awarded Gold Medal in the Kumite event in the Open Category. Mumbai University Inter Collegiate Zone IV Chess Tournament held at KLE Society & Commerce College, Kalamboli on 28th July, 2017. Total 31 teams participated and PCACS received 5th position in Zone VI. Mumbai University Inter Collegiate Swimming Tournament held at P.M. Hindu Swimming Bath, Charni Road from 21st to 23rd August, 2017. Total 78 college participated and PCACS Women Swimmer Tanavi Rane won Bronze Medal in 50 mtr Back Stroke, 100 mtr Back Stroke and Nitesh Shetty received 10th position. Mumbai University Inter Collegiate Cross Country Race held at Birla College of Arts, Science & Commerce, Kalyan on 28th and 29th August, 2017. Total 31 teams participated and PCACS received 15th position. Mumbai University Inter Collegiate Badminton Tournament held at University Pavilion, Marine Lines from 19th to 24th August, 2017. Total 102 Mens Team lost in 2nd round and Womens Team lost in 3rd round. In individual Men Karthik Kalani lost in 4th round, Flauias Fernando lost in 5th round, Individual Women Nitya Ravindra and Amrita Sarkar lost in pre-quate. 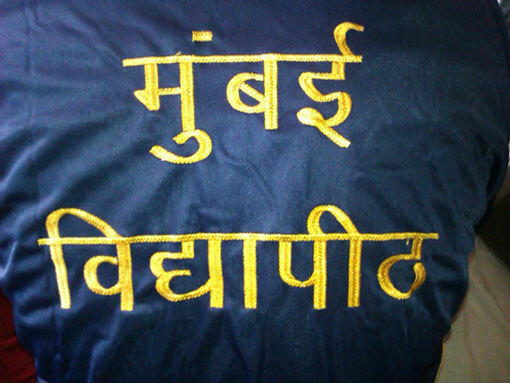 Mumbai University Inter Collegiate Kabaddi Tournament held at C.K.T. College, Khanda Colony on 28th September, 2017. Total 42 teams participated and PCACS lost in 3rd round. 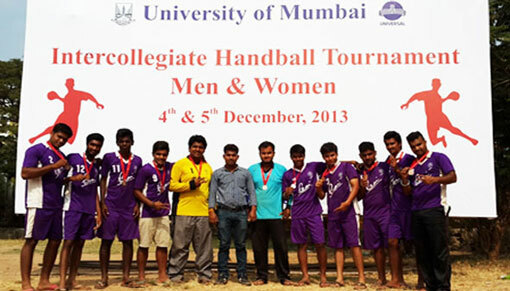 Mumbai University Inter Collegiate Handball Tournament held at C.K.T. College, Panvel from 4th to 5th October, 2017. Total 37 teams participated and PCACS team lost against Gogate Walke College in finals and won Silver Medal. Mumbai University Inter Collegiate Volleyball Tournament held at R.A. Poodar College, Matunga on 3rd October, 2017. 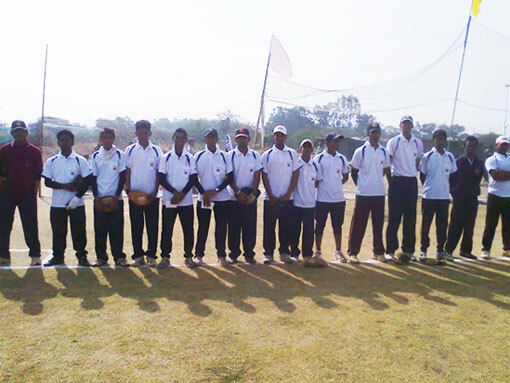 Total 64 teams participated and PCACS team lost against R.J. College in final and won Silver Medal. Ankita Kathayat, Sneha Katakdhond selected in Mumbai University Team. 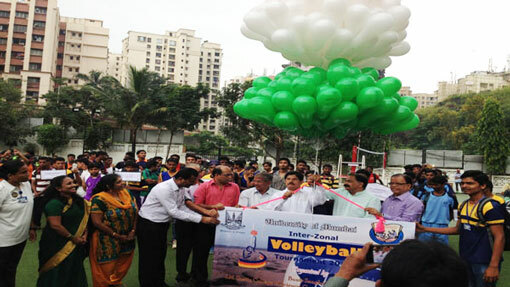 Mumbai University Inter Collegiate Volleyball Tournament held at two place K.B. Patil College, Vashi from 28th and 29th September 2017; Birla College, Kalyan from 8th to 10th October, 2017. Total 160 teams participated and PCACS team won Gold Medal in tournament. Mumbai University Inter Collegiate Judo Tournament held at Vishnu Waman Thakur Charitable Trust’s College, Virar on 14th October, 2017. Vishal Waghmare participated and lost in 2nd round. 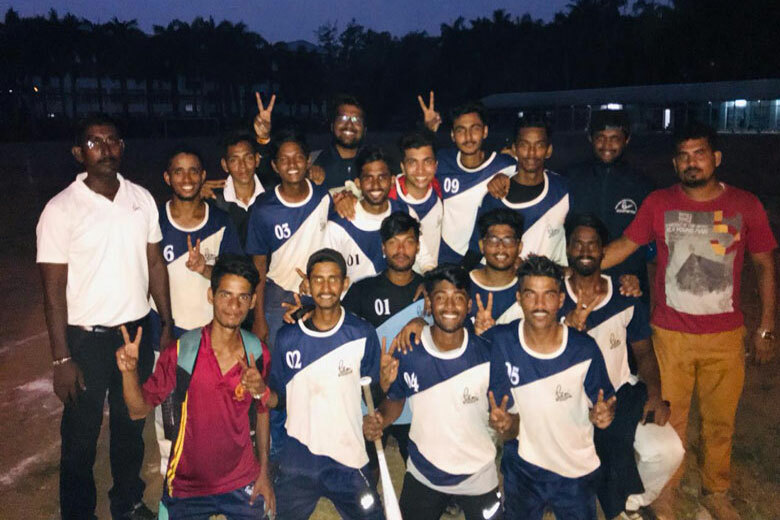 Pillai College of Arts Commerce & Science, New Panvel retained Runners-up position and Silver Medal in Mumbai University Football Championship, were more than 200 college teams participated. The team led by Vinil Poojari (T.Y.B.Com.) showed wonderful display of soccer, failed to convert a goal after attempting it for a dozens of time and positioning the ball more than 65% of total time duration. 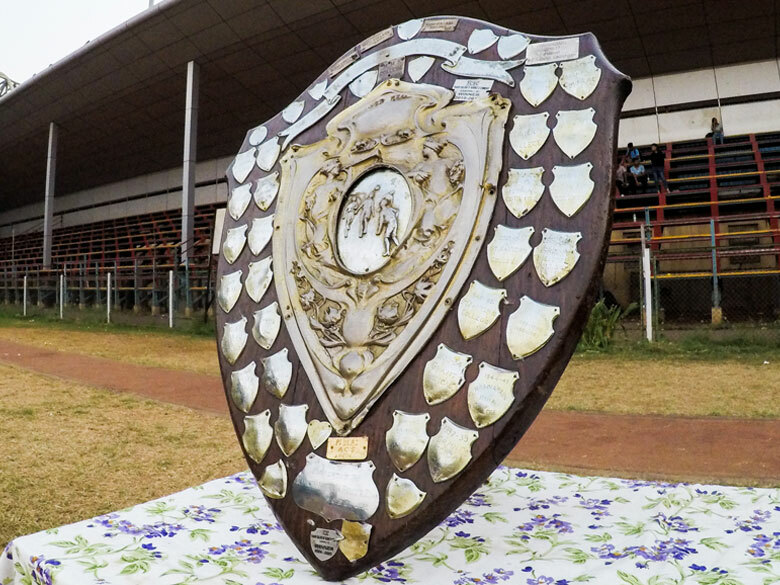 The defending champion and the finalist KC College never get an upper hand in the match scored a goal which is the only time they managed to attack PCACS. PCACS Eleven displayed a high degree of soccer skill throughout the tournament. 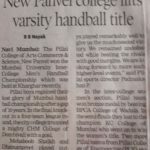 Pillai College of Arts Commerce & Science, New Panvel Handball Women Team won Runners-up position in the Mumbai University Inter Collegiate Handball Championship held at CKT College, Panvel. In the finals they narrowly lost to Banda College, Thane by mere score of 7-6. Team led by T.Y.B.Com. 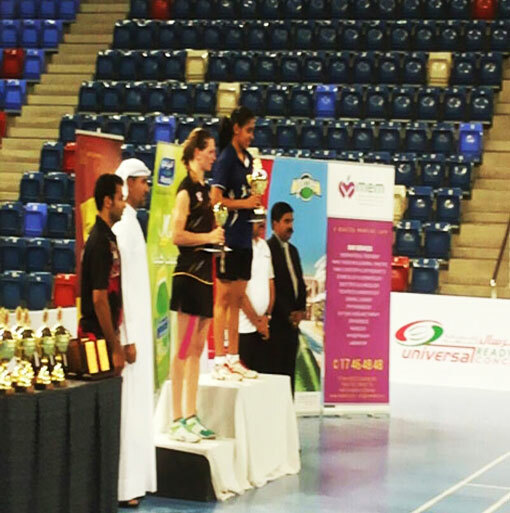 student Ms. Suman Salian played an excellent show of Hand ball skills inn the tourney. Pillai College of Arts Commerce & Science, New Panvel Men's Volleyball team clinched the Mumbai University Inter Collegiate Volleyball Championship 2017-18 title by beating the defending champions of long 9 years Thakur ACS, Kandivali by a score of (25-21, 25-18). 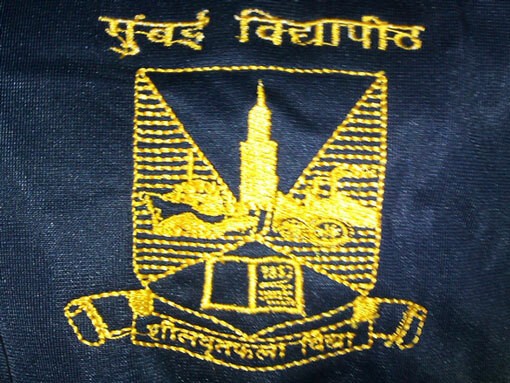 This is the first time in the history of Mumbai University that a college from Navi Mumbai Raigad winning this title. The team led by Ashish Pandit (S.Y.M.Com.) played an excellent volleyball throughout the championship which held at five zones. Atotal of 142 colleges participated in the tourney. 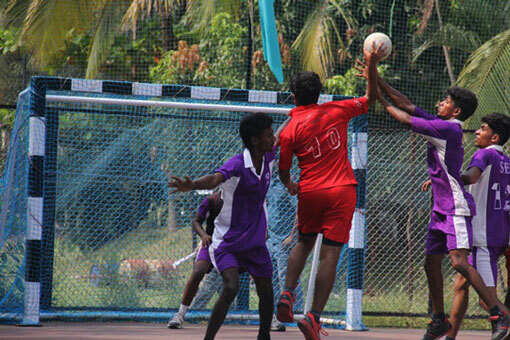 In their first inter zone match Pillai ACS beat the champion of V zone SH Hegshetye College from Konkan region. 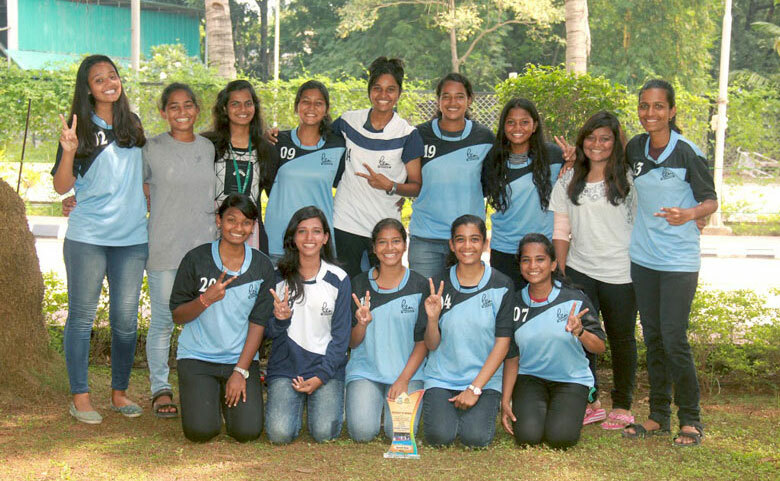 In final league they beat RJC, Ghatkopar and SPK College, Sawantwadi in straight two sets. Dishant Rawat, Manoj Seegu, Jaydeep Holgar and Sagar Rathod played exceptional volley with the supports of Ashutosh bhoir and Manthan Raut. 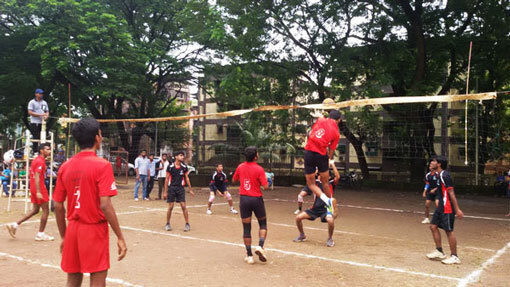 The Inter zone Volleyball held at Birla College, Kalyan. 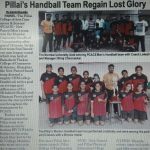 It is a double warmly for Pillai Volleyball as their Men won the Gold and the counterpart women's Volleyball team led by Ankita Khatayat (T.Y.B.Com.) won Silver Medal at Mumbai University Inter Collegiate Women Volleyball Championship 2017-18 held at Podar College, Matunga from 3rd to 6th October, 2017. 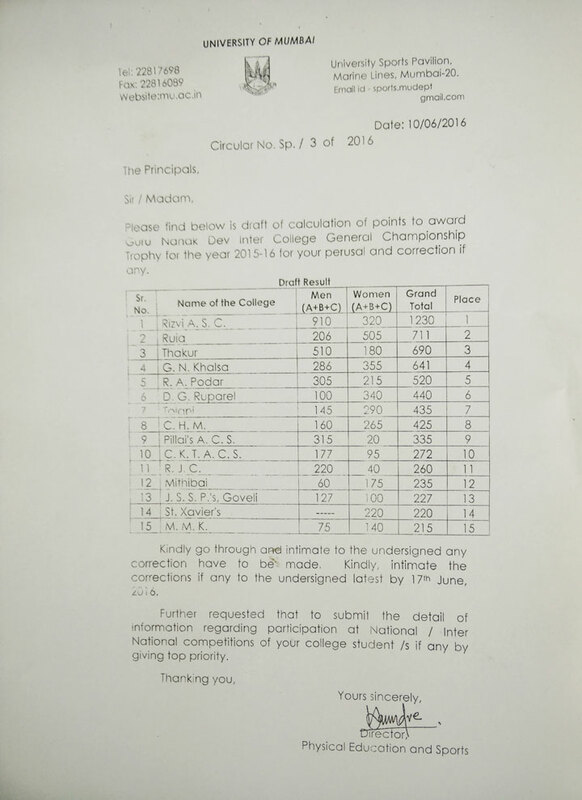 This is also came as a great achievement as team who ranked 13th managed to reach 2nd slot out of 62 college teams. 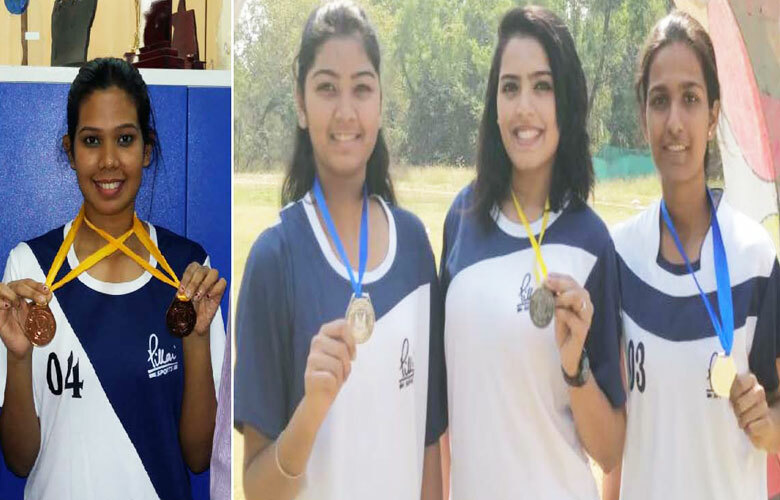 Prerana Sharma, Akansha Pandey, Sweta Gowda and Sneha played good game of volleyball throughout the tournament. PCACS Men Team won Gold Medal in Pep Sight Rifle Shooting Competition and the Women's Team won the Gold Medal in Open Sight event. 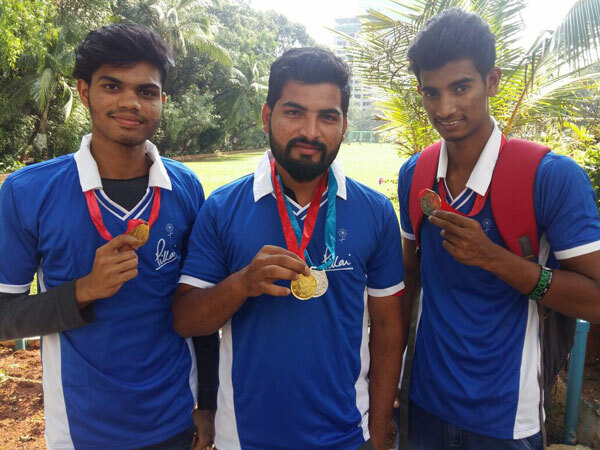 In Men's Open Sight Team event the Pillai College of Arts Commerce and Science Men Team stood runners-up with Silver Medals. 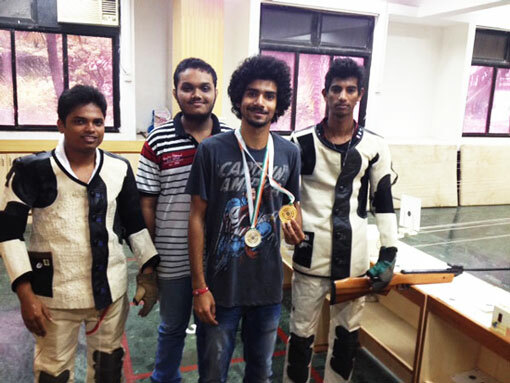 The PCACS team become the overall champions in Air Rifle Shooting Championship of Mumbai University. Kiran Jadhav of Pillai College of Arts Commerce and Science, New Panvel won the individual champion in the Men's Peep sight event and Miss. 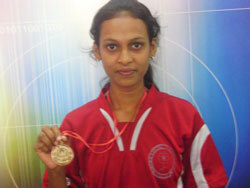 Kirandeep Saini of the same college won the Silver Medal in women's Open Sight event. 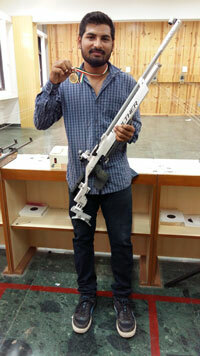 Another PCACS man Sumit Patil won Bronze Medal in Open Sight event. 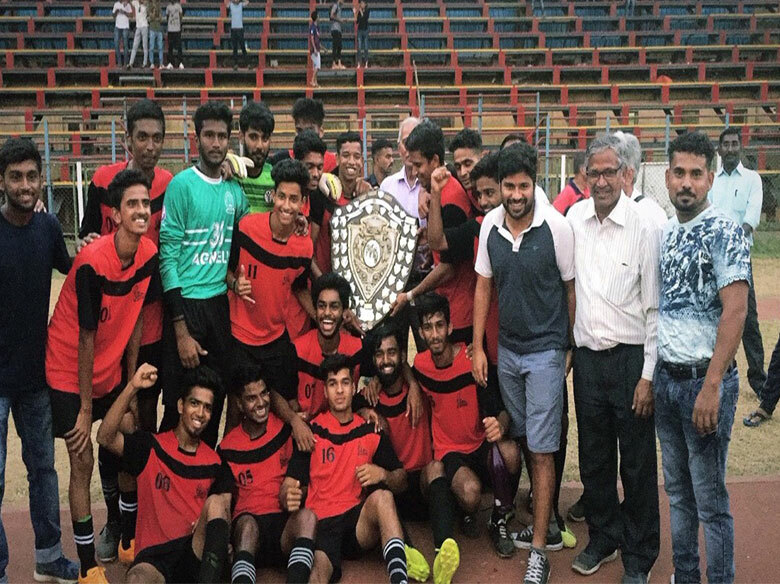 Pillai College of Arts Commerce and Science, New Panvel Men Team won the Runners–up position in the Mumbai University Football Championship 2016-17. Team who leads with (2-0) till last ten minutes of the play lost at the end of final whistle against K.C. College, Mumbai by a slender margin 3-2. 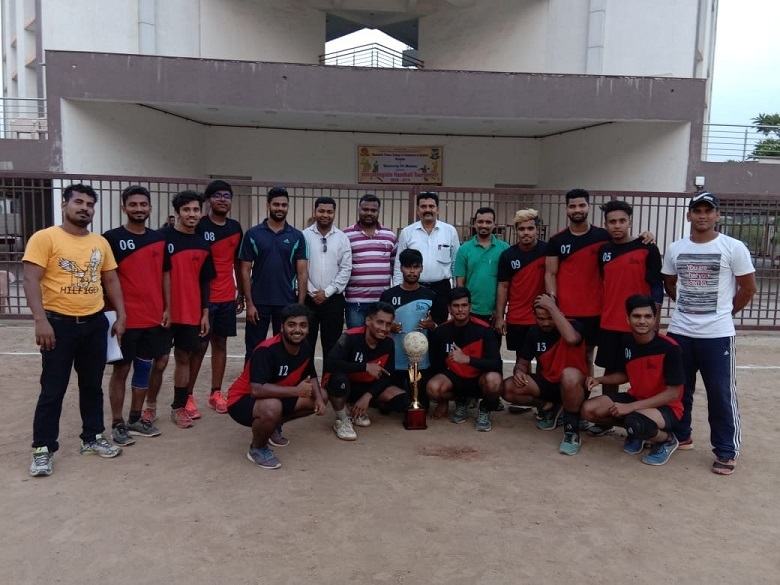 Pillai College of Arts Commerce and Science, New Panvel Men's Volleyball Team retained the runners-up title of Mumbai University Inter Collegiate Volleyball Championship held at K.B. Patil College, Vashi. 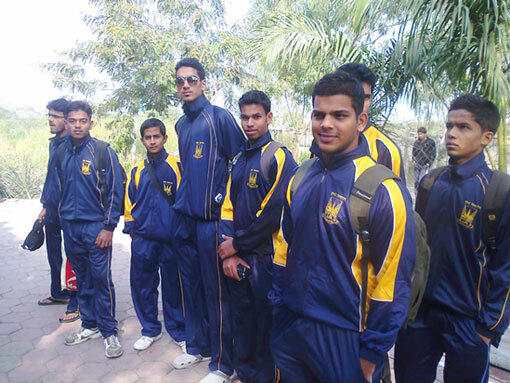 The team lost to Thakur College in a five setter game (3-2). 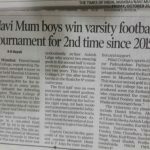 Two of our students Deepak Irmali and Vaibhav Karpe were part of the Runner up Team of Navi Mumbai Football Club Premiership Football League - II. Ms. Tanvi Vikas Rane (F.Y.B.Com.) 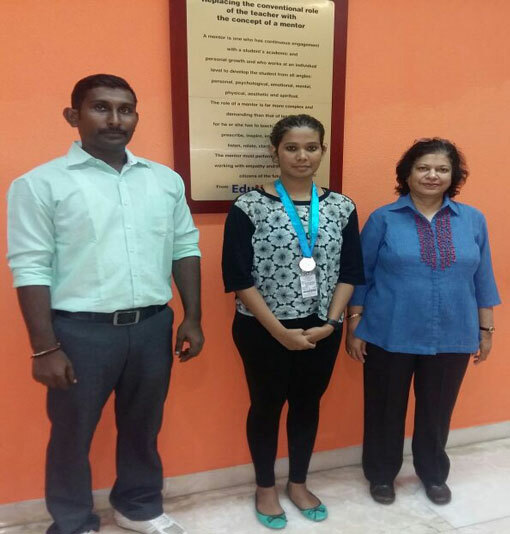 student of Pillai College of Arts Commerce and Science, New Panvel won Silver Medal in Swimming (Back Stroke), in Mumbai University Championship held at Mumbai on 19th - 20th August, 2016 and bagged 4th Position in 50 meter freestyle swimming. P.C.A.C.S. got 4th position in the Intercollegiate Zone 4 and 5 Chess Tournament of Sundar Rao More College of Arts, Commerce and Science, held on 26th July, 2016. 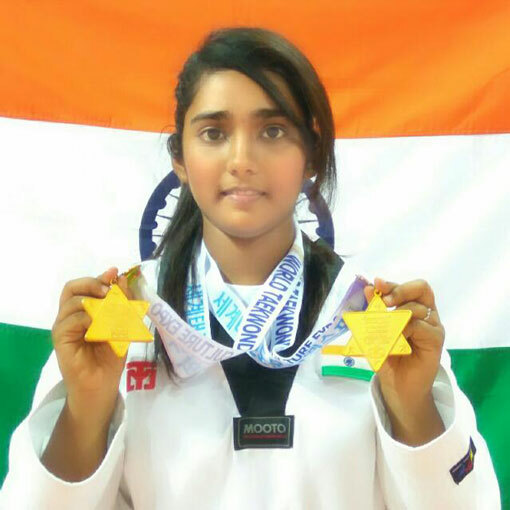 Aayushi Ajay Bhakta, Athelete, F.Y.B.M.S. 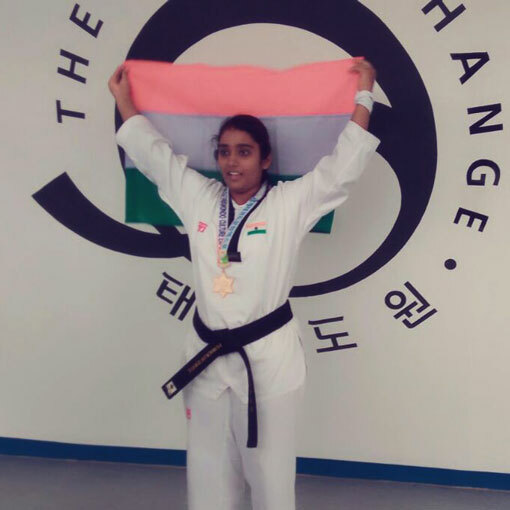 student (PCACS) bagged Gold Medal at 10th World Taekwondo Culture Expo Competition, Korea on 19th July, 2016. Mumbai University Inter Collegiate Zone IV Chess tournament held at Sunderrao More Senior College of Arts, Commerce & Science, at Cholai, Poladpur from 26/07/2016, a total 28 Teams Participated and PCACS received 4th position in Zone VI and Inter Zone received 10th position. Mumbai University Inter Collegiate Badminton tournament held at University Pavilion Marine Lines from 01/08/2016 to 06/08/2016 total 112 Teams Participated and PCACS lost in Pre-Quarter. Mumbai University Inter Collegiate Swimming tournament held at P.M. Hindu Swimming Bath, Charni road from 19/08/2016 to 20/08/2016 total 48 Teams Participated and PCACS Women Swimmer Tanavi Rane Won Silver Medal in Back Stroke and Nitesh Shetty received 9th Position. 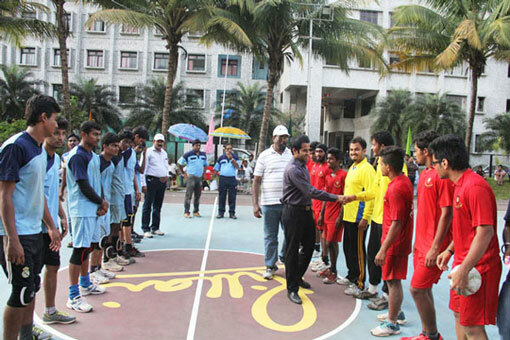 Mumbai University Inter Collegiate Basket Ball tournament held at D.G. Ruparel College, Matunga from 24/09/2016 total 32 Teams Participated and PCACS lost in 1st Round against G.N Khalsa College. 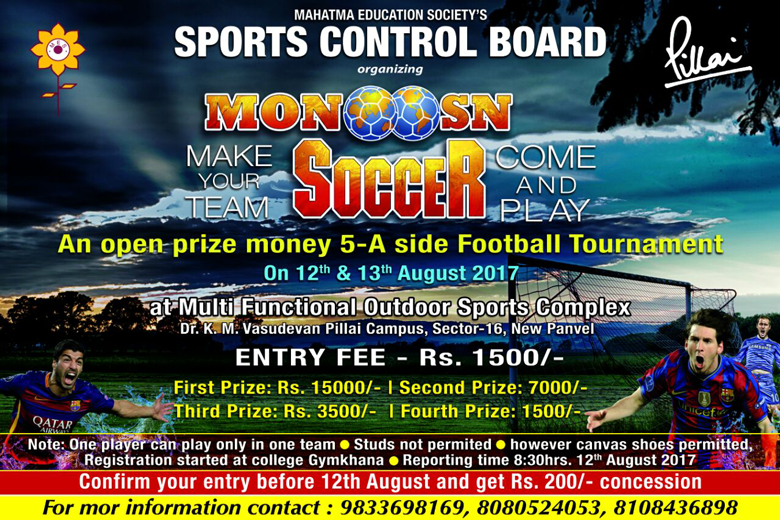 Mumbai University Inter Collegiate Foot Ball tournament held at Two Places K.J. Somaya and University Pavilion, Marine Lines from 13/10/2016 to 26/10/2016 a total 192 Teams Participated and PCACS Team lost against K. C. College with Scorline of 2-3 in The Final and Secured Silver Medal and Pratik Thakur, Sarvesh Mhatre and Akshay Pashilkar Selected in Mumbai University Team. 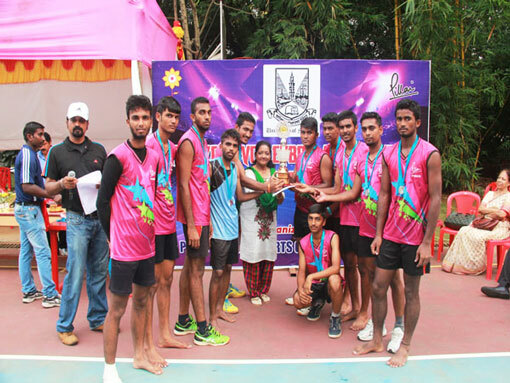 Mumbai University Inter Collegiate Kabaddi tournament held at Y.T.I.E.T. Tasgaonkar Education Complex, Bhivpuri, Karjat from 14/10/2016 total 200 Teams Participated and PCACS lost against Sheth J. N. Paliwala College in 2nd Round. 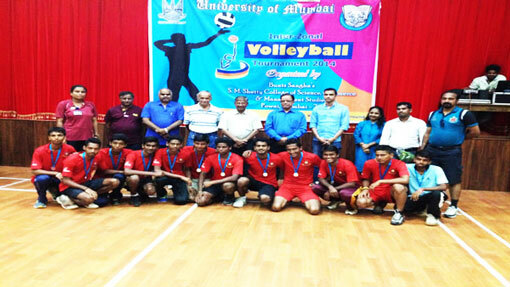 Mumbai University Inter Collegiate Hand Ball tournament held at C.K.T. College, Panvel from 08/10/2016 to 09/10/2016 total 140 Teams Participated and PCACS Team lost against C.K.T. 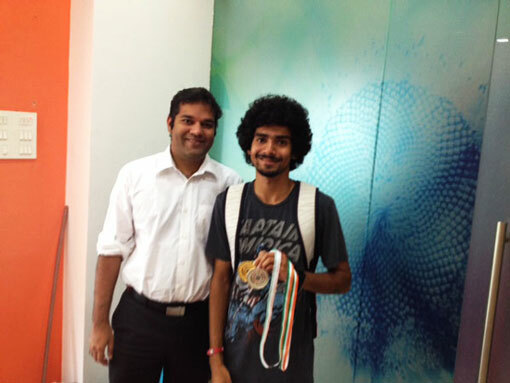 College in Semi-Finals and Secured Bronze Medal and Sajid Shaikh Selected in Mumbai University Team. 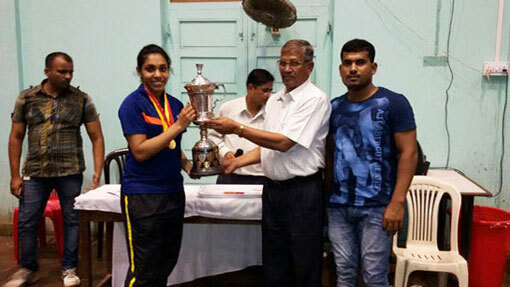 Mumbai University Inter Collegiate Hand Ball tournament held at C.K.T. College, Panvel from 08/10/2016 to 09/10/2016 total 22 Teams Participated and PCACS Team lost against St. Xavier College in Quarter-Finals. held at K.B. Patil College, Vashi from 22/10/2016, 24/102016 and 25/10/2016. 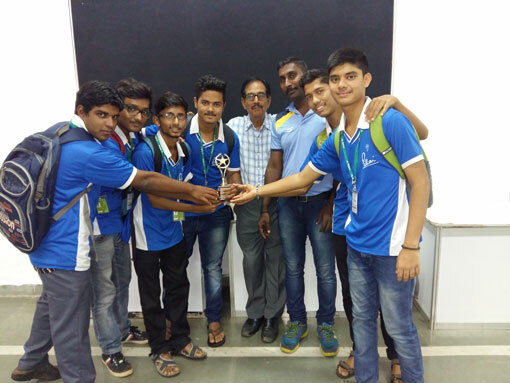 a total 160 Teams Participated and PCACS Team Won Gold Medal in the tournament, Dishant Rawat, Manoj Segu, Vinayak Upadhay, Ashis Pandit and Nawaz Khan Selected in Mumbai University Team. Mumbai University Inter Collegiate Volleyball tournament held at R.A. Poodar College, Matunga from 26/10/2016 a total 32 Teams Participated and PCACS Team lost against Vaze College in 2nd Round and Ankita Kathayat, Sneha Katakdhond and Prerna Sharma selected in Mumbai University Team. Mumbai University Inter Collegiate Baseball tournament held at C.K.T. College, Panvel from 24/10/2016 to 25/10/2016 a total 34 Teams Participated and PCACS Team lost against Vartak College, Thane in Semi-Finals and Secured 4th position, Romil Gala and Mith Joshi both selected in Mumbai University Team. 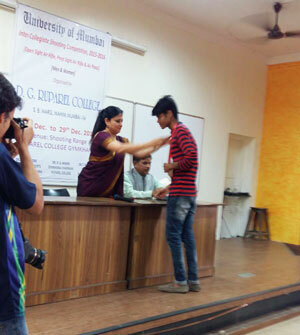 Mumbai University Inter Collegiate Rifle Shooting - Peep Sight tournament held at D.G. Ruparel College, Matunga from 23/10/2016,24/10/2016 and 25/10/2016 a total 44 Teams Participated and PCACS Team Won Gold Medal. Kiran Jadhav selected for Inter University. 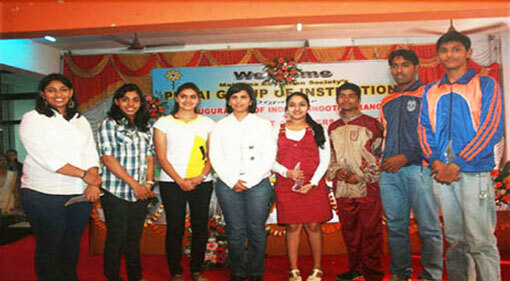 Mumbai University Inter Collegiate Rifle Shooting - Open Sight tournament held at D.G. Ruparel College, Matunga from 23/10/2016,24/10/2016 and 25/10/2016 a total 44 Teams Participated and PCACS Team Won Silver Medal and Sumit Patil Won Bronze Medal in Mens individual. 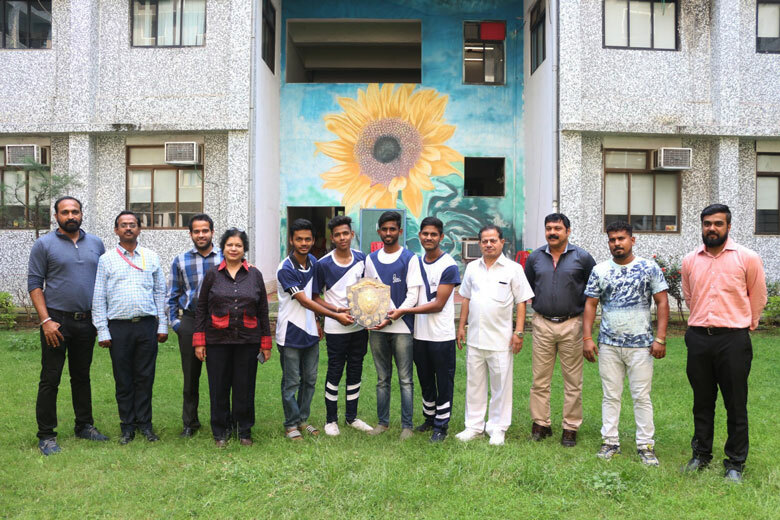 Mumbai University Inter Collegiate Rifle Shooting - Open Sight tournament held at D.G. 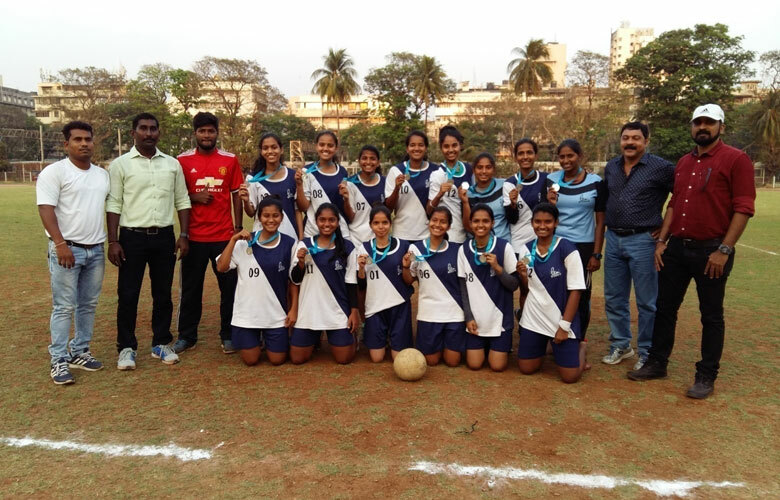 Ruparel College, Matunga from 23/10/2016,24/10/2016 and 25/10/2016 a total 44 Teams Participated and PCACS Team Won Gold Medal and Kirandeep Sahani Won Silver Medal in Womens individual. Mumbai University Inter Collegiate Athletics Championship held at University Pavilion Marine Lines from 11/11/2016 to 13/11/2016. 100mtrs Runners lost in Semi-Finals Heats, 200mtrs Runners lost in First Heats and one of our Javelin Thrower Shantanu Asthivkar received 5th position. Mumbai University Inter Collegiate Cricket tournament held at Kalina Campus, Vidyanagari, Santacruz (E) from 12/12/2016 a total 160 Teams Participated and PCACS Team lost in 4th Round. Mumbai University Inter Collegiate Ball Badminton tournament held at G. N. Khalsa College, Matunga from 13/12/2016 total 16 Teams Participated PCACS lost against C. H. M. College Badalapur and received 6th position, Ashwinraj Fernando Selected in Mumbai University Team. Mumbai University Inter Collegiate Ball Badminton tournament held at G. N. Khalsa College, Matunga from 13/12/2016 total 11 Teams Participated PCACS lost against R D National College and received 5th position. 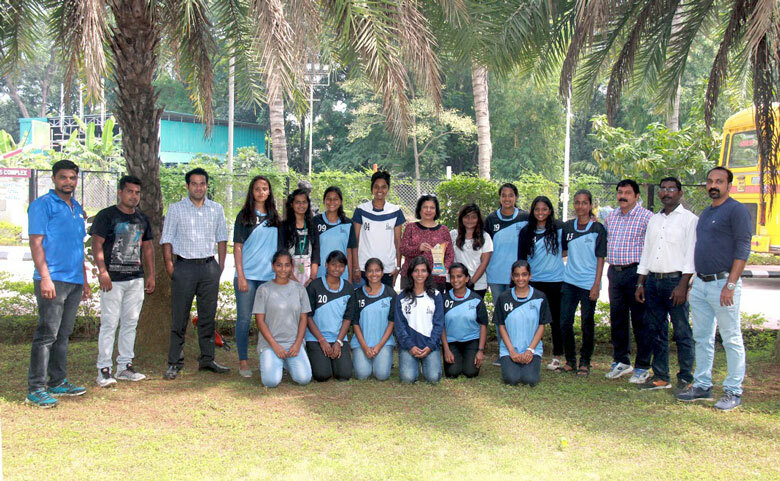 Mumbai University Inter Collegiate Archery tournament held at Sonopant Dandekar Arts, V.S. apate Commerce and M.H. Mehta Science College, Palghar on 08/01/2017 total 31 College Participated in Indian Round PCACS Archerer Mukul Kumar Prasad Won Selver Medal and selected in Mumbai University Team. Mumbai University Inter Collegiate Boxing tournament held at Rizvi College, Bandra on 02/01/2017 and 03/01/2017 total 56 College Participated PCACS Boxer Ganesh Bogati lost in Pre-Quarter. Mumbai University Inter Collegiate Soft Ball tournament held at Mumbai University Campus, Kalina from 16/01/2017 total 24 Teams Participated and PCACS Team lost against R. A. Podar College in Pre-Quarter. 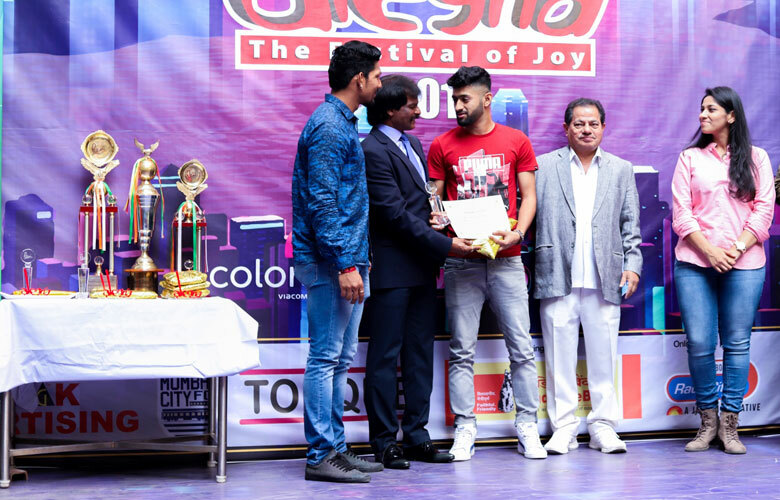 Mumbai University Inter Collegiate Weight Lifting Championship held at D.T.S.S. College, Malad from 22/01/2017 PCACS Weight Lifter Lokesh Chikka Won Bronze Medal in Upto 77kg Weight Category. Mumbai University Inter Collegiate Power Lifting Championship held at R. D. National College, Bandra from 04/02/2017 PCACS Power Lifter received 12th position in upto 77kg Weight Category. 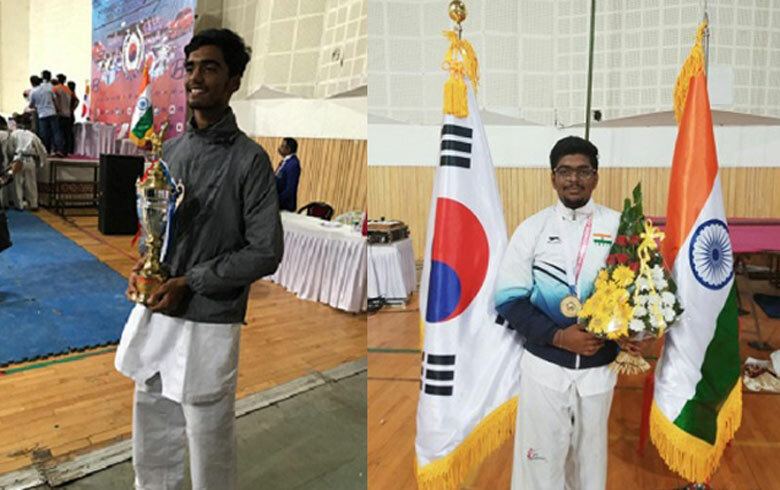 Mumbai University Inter Collegiate Taekwondo Championship held at R. A. D. A. V. College, Bhandup from 06/03/2017 to 07/03/2017 PCACS Taekwondo Player Aayushi Bhakta Won Bronze Medal in Heavy Weight Category, Sunil Mawale Won Bronze Medal in Fly Categorie and Aditya Bhojbal, Shubham Raut lost in 1st Round. Ankita Kathayat, PCACS student got selected to represent the University at WEST ZONE INTER-UNIVERSITY VOLLEYBALL Tournament for Women 2015-16 to be held at Sant Gadge Baba Amravati University. 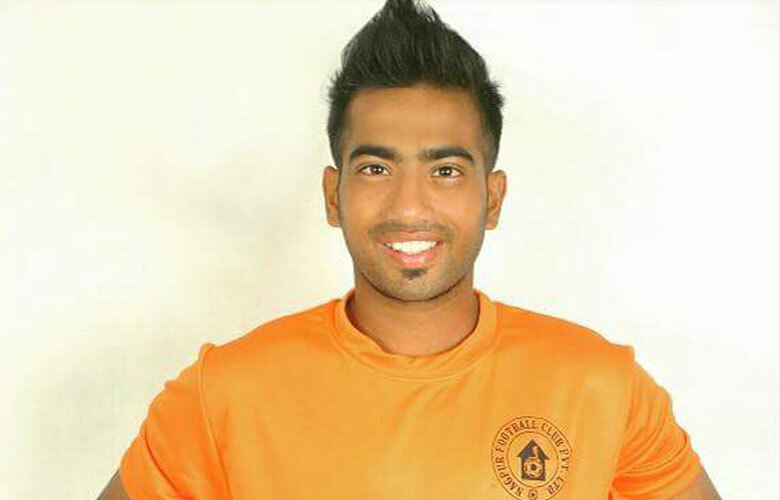 Nikhil Poojary, PCACS student got selected in the Indian Under 23 years Football Team. 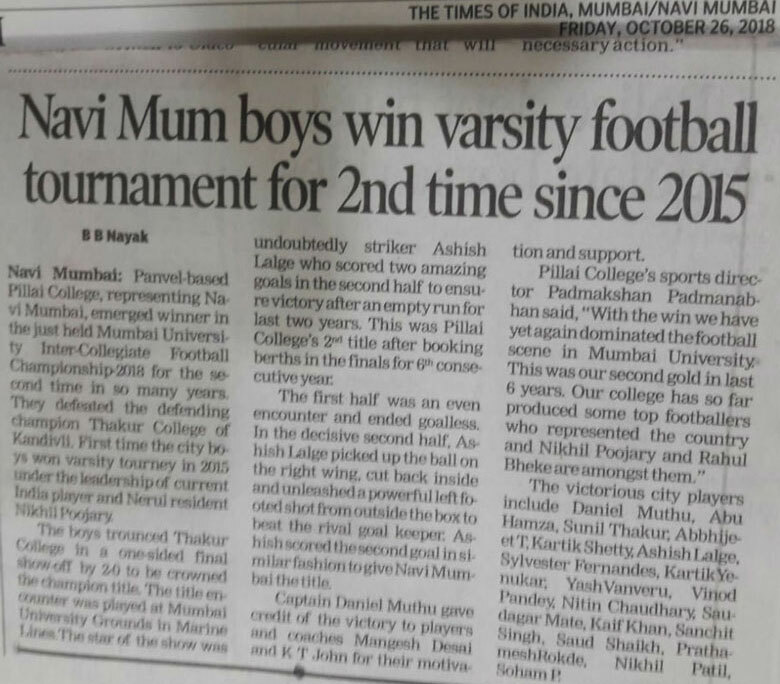 Mahatma Education Society's Pillai College of Arts, Commerce and Science Football team has created history by becoming the First Navi Mumbai College to win the prestigious Mumbai University Inter-Collegiate Football Championship. 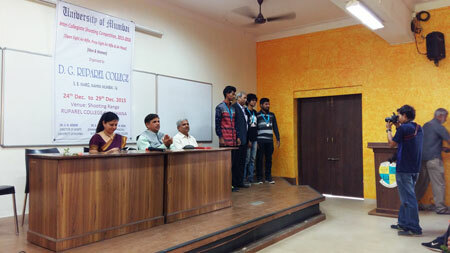 A truly great achievement as they came first out of the more than 200 colleges who participated in the tournament. They defeated Khalsa College in the finals by a score line of 1-0 held at the University Pavilion in Marine lines on the 11th October, 2015. Mohammad Ishaq was the Man of the Hour as he scored the winning goal of the match just before halftime. Nikhil Poojari and his brother Vinil Poojari, Vaibhav Karpe and Daniel Muttu played exceptionally well for Pillai's. 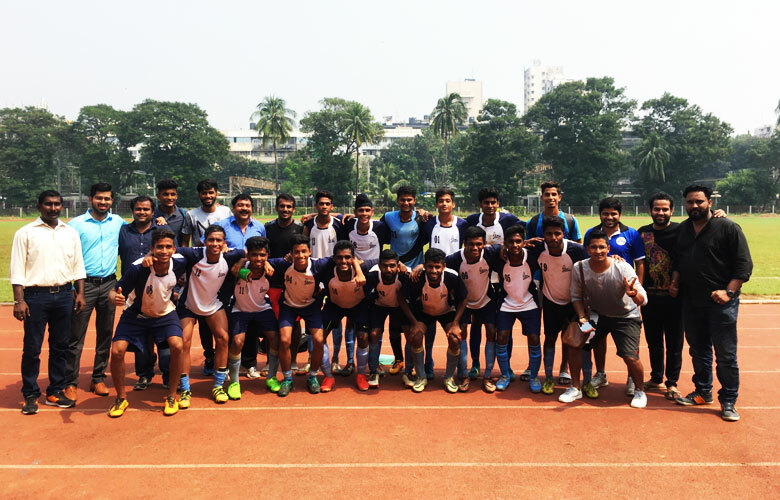 The team was trained by coach Mangesh Daniel and guided by Prof. KT John. 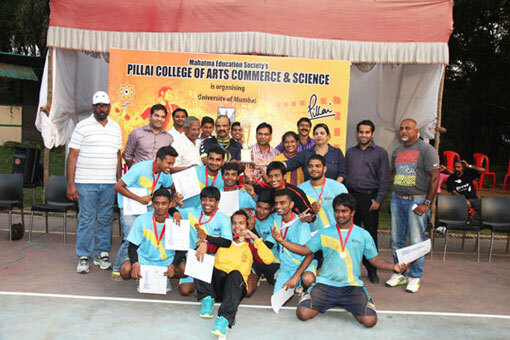 This was the third time in succession that the Pillai team had reached the finals of the tournament. In the previous two years they lost the finals in nail biting encounters. But third time proved to be lucky for the Pillai team. They dominated the match from start to finish and were deserving winners of the tournament beating top teams such as Thakur College on their way to the finals. Sandesh Puthran, captain of the team stressed, “Teamspirit and years of hard work were responsible for us winning the tournament”. 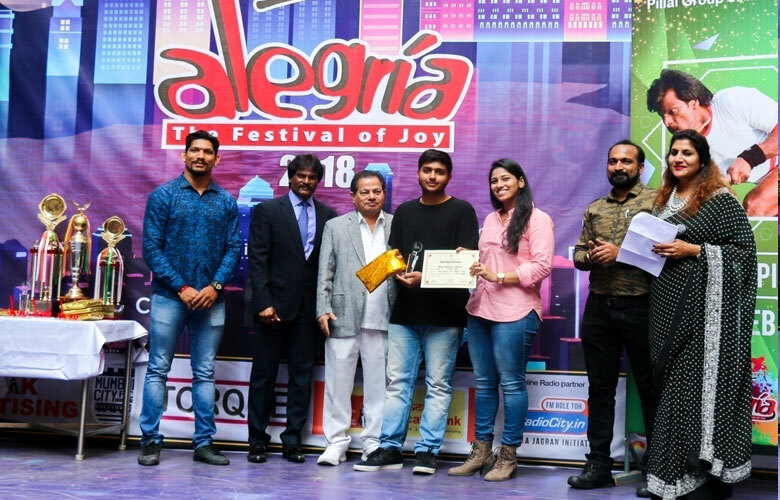 Star player Nikhil Poojary took time to thank the people behind the scenes such as the coaches and the management who supported the team throughout the year. The spiking of champions of Raigad and Navi Mumbai retain the second position and the runners-up position of University of Mumbai Volleyball 2015-16. The team led by Dishant Rawat trashed every teams they came across in handsomely, but unfortunately didn't make it to the top slot. 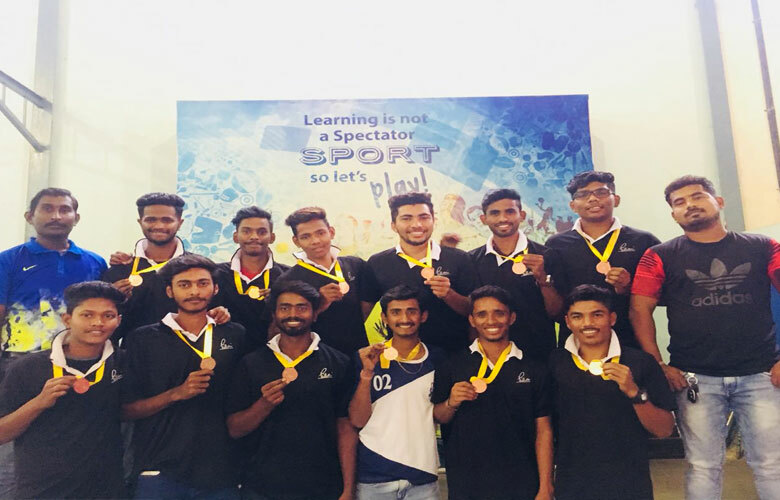 In the semi final (league) the the Pillai College of Arts Commerce and Science (PCACS), New Panvel the host, over powered a star studded Ramnarayan Junjunwala College, Ghatkopar, a team which positioned itself as a top contender by volleyball experts in a five set thriller (25-14, 26-28, 25-22, 23-25, 15-7). But in the finals unfortunately, PCACS fail to show up their performance they shown with RJC-Ghatkopar and went down in a four setter match (26-28, 23-25, 25-14, 22-25) against the defending champion Thakur College of Arts Commerce and Science, Kandivali. 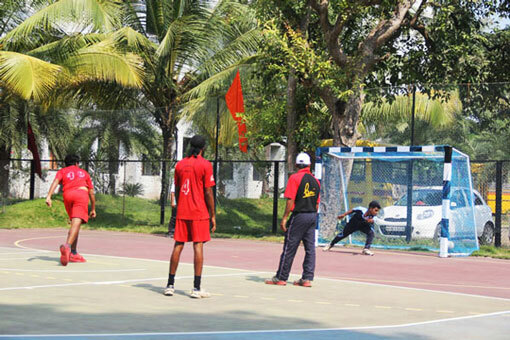 The tournament was conducted at Dr. K. M. Vasudevan Pillai Campus from 2nd to 5th October, 2015. 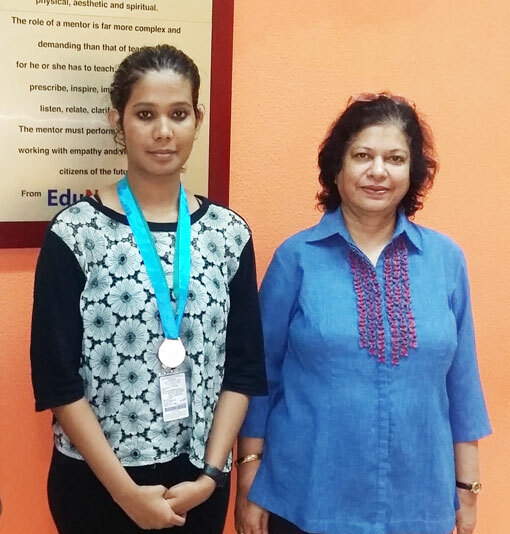 Riya Pillai, M.Com(Part-I) student bagged 7th position in the National Ranking. 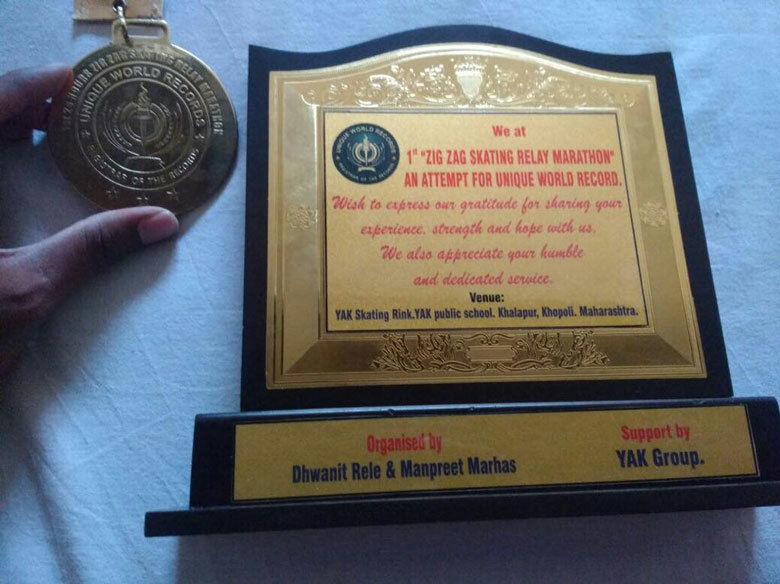 Tejas Karale, T.Y.B.Com student won Gold Medal in “Gun for Glory National Rifle Shooting Championship” held at Pune in September 2015. 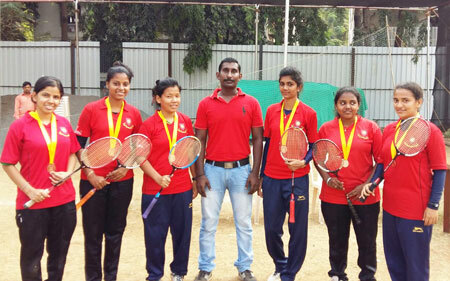 Women Ball Badminton team won Bronze Medal at Inter Collegiate Ball Badminton Championship held at Matunga in December 2015. Sahil Nandavfekar won Individual Gold Medal in the Open Sight in Mumbai University Rifle Shooting Championship held at D.G. Ruparel College, Mumbai. 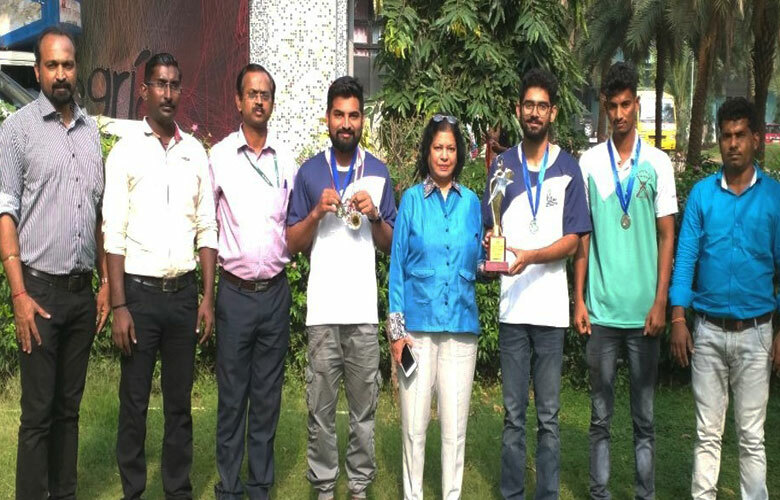 Pillai College of Arts Commerce & Science, Rifle Shooting Men’s team won Silver Medal in Mumbai University Rifle Shooting Championship held at D.G.Ruparel College, Mumbai. 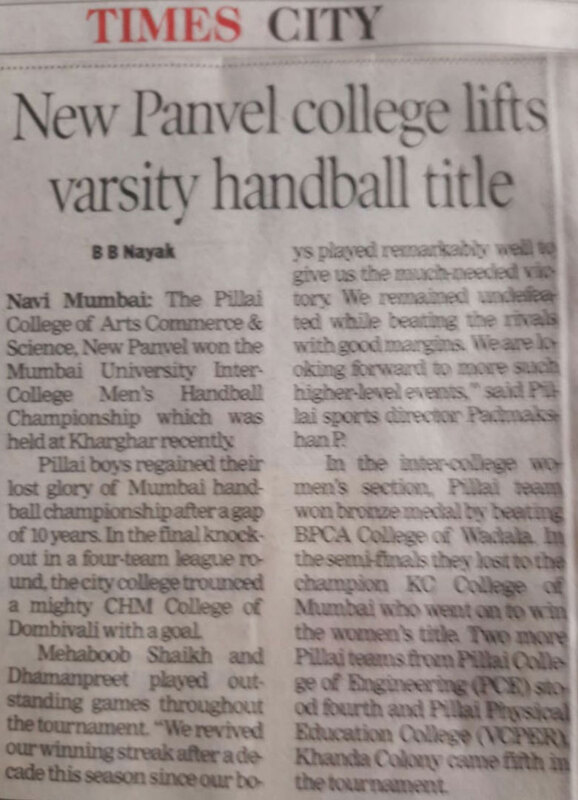 Pillai College of Arts, Commerce and Science won the Mumbai University Inter Collegiate Handball Championship (Men) Bronze in the Championship held at Dr. K. M. Vasudevan Pillai Campus, New Panvel on 20th and 21st October, 2014. 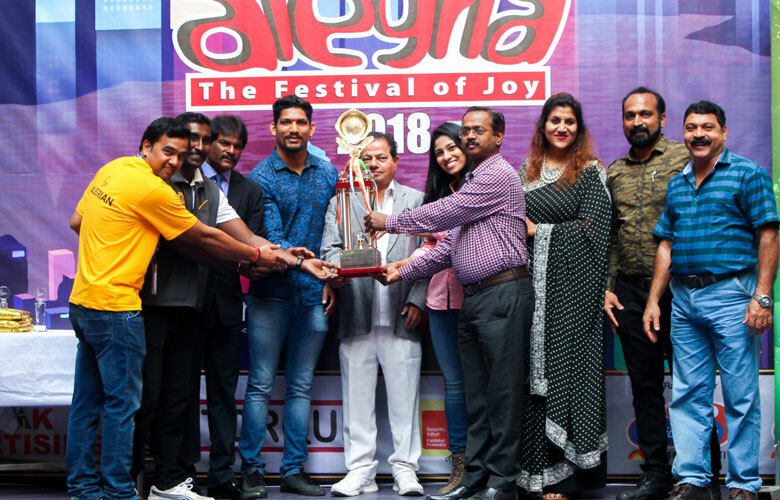 The championship was organized by Pillai College of Arts, Commerce and Science for both Men and Women at Dr. K. M. Vasudevan Pillai Multi-functional synthetic court. The tournament was inaugurated by Mr. Franav Pillai, Deputy CEO, Mahatma Education Society, in the presence of so many dignitaries including Director of Sports, University of Mumbai Dr. Uttam Kendre, Deputy Director Sports Authority of India Mr. V. Bhandarkar and Mr. Randheer Singh, Treasurer Maharashtra State Handball Association. On 21st Ocober, 2014 evening, Dr. Priam Pillai, Chief Operating Officer, Mahatma Education Society gave away the medals, certificates and trophies to the winning teams. 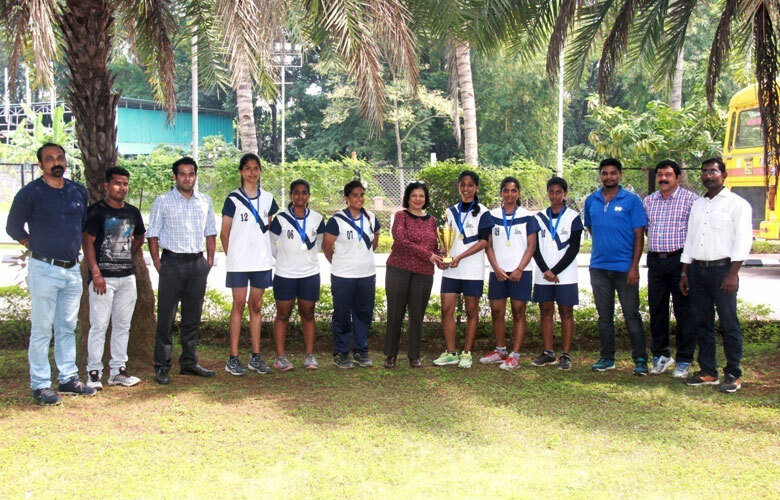 Pillai College of Arts Commerce and Science, New Panvel won the Silver Medal and Runners-Up position in the Mumbai University Volleyball Championship held at S. M. Shetty College, Powai from 22nd to 27th September, 2014. 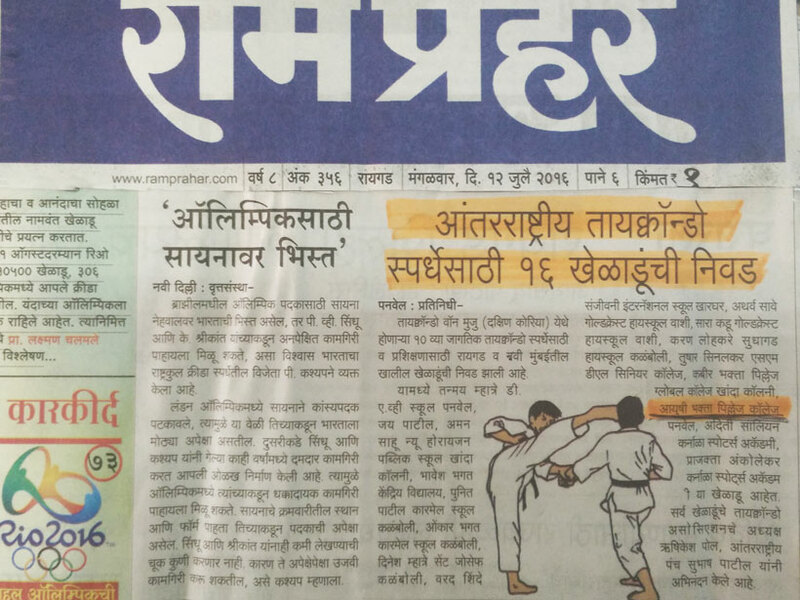 The team championed at Raigad Zone by beating twenty colleges and entered in the quarter finals. 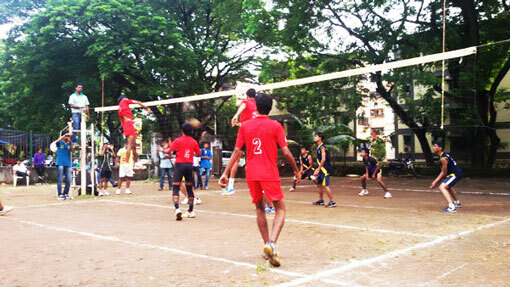 PCACS played the matches at Inter Zone Level at Powai S. M. Shetty College. A total of 98 colleges participated in the event. 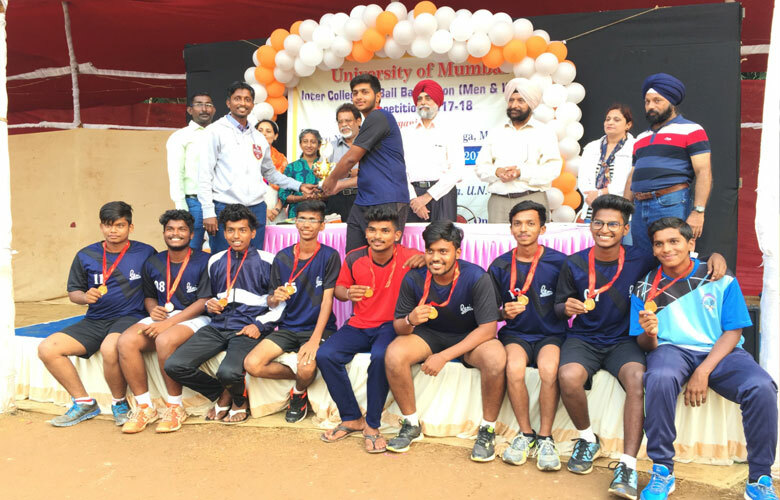 This is the first time that a College from Navi Mumbai, Raigad won this prestigious Mumbai University Volleyball Runners-up Trophy and Silver Medal. Five of PCACS players selected in to the Mumbai University Volleyball team for the forthcoming All India Inter Varsity Volleyball Championship 2014-15. Tejas Karle, Second Year B.Com. 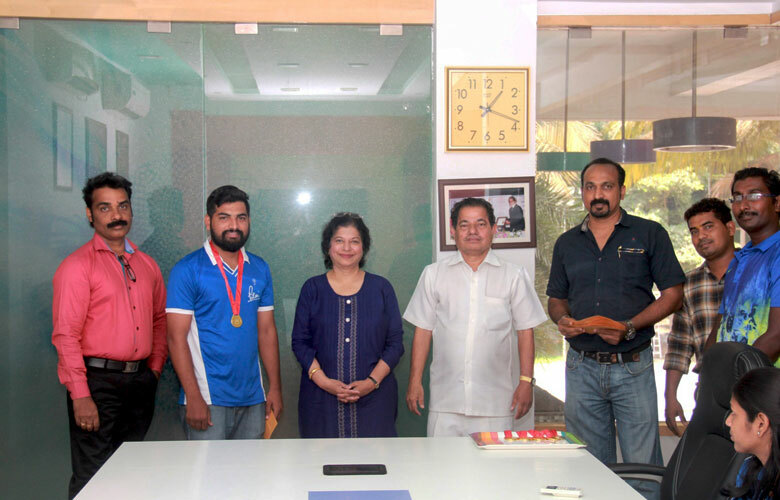 student of Pillai College of Arts Commerce and Science, New Panvel won the First Sports Craft National Shooting Competition held at New Delhi from 10th to 14th September, 2014. 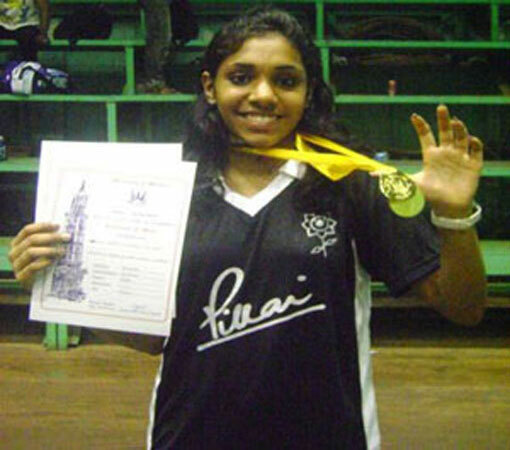 Tejas who represented Senior Maharashtra State Team won the team Gold Medal also won the Junior Individual Silver Medal. Riya Pillai of F.Y.B.Com. is the National Badminton Champion (Under 19 years) and represented India for World Junior Badminton Championship held at Japan. Riya Pillai, Final Year B.Com. 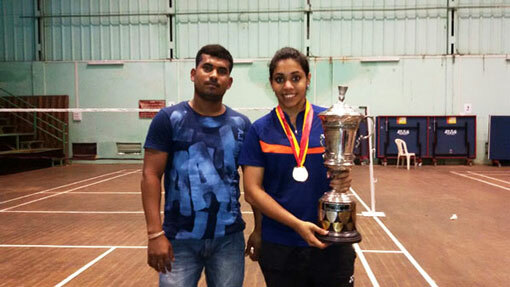 student of Pillai College of Arts, Commerce and Science, New Panvel won the Mumbai University Badminton Women singles title. 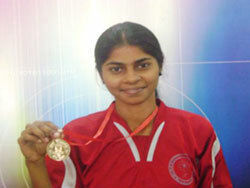 She also held the college team to win bronze medal in the team championship. Riya Pillai (S.Y. B.Com.) 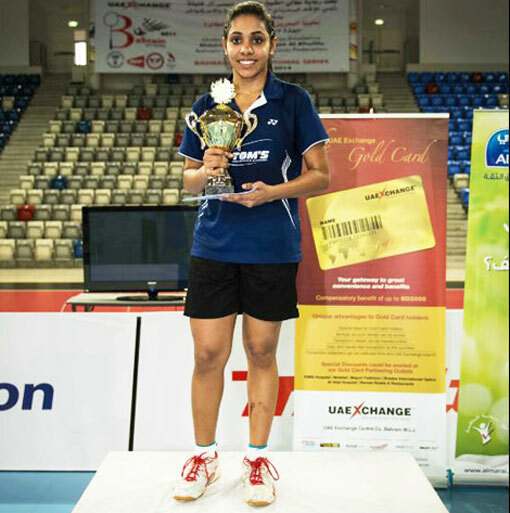 student of Pillai College of Arts Commerce and Science (PCACS), New Panvel made us proud by winning maiden International Badminton title at Bahrain International Badminton series held at Isa Town, Bahrain from 16th - 21st June, 2014. 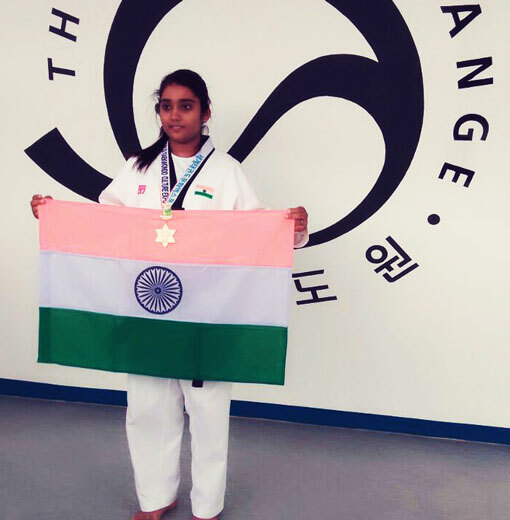 Riya beat an International ranked Ms. Elisabeth Baldauf of Austria by a comfortable margin. Score in the final are 21-18 and 21-12. 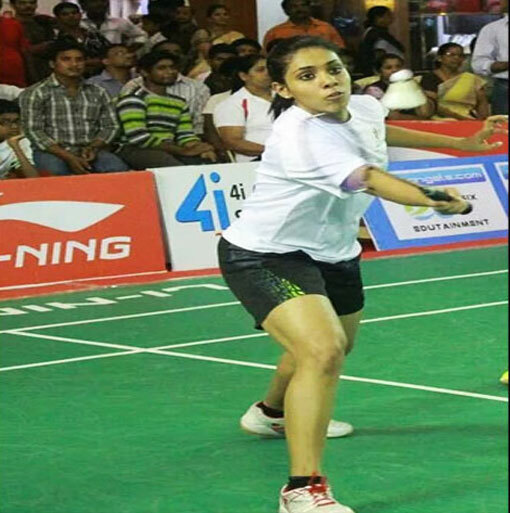 A confident Riya will now fly to Spain to represent India at the World Universities Badminton Championship. 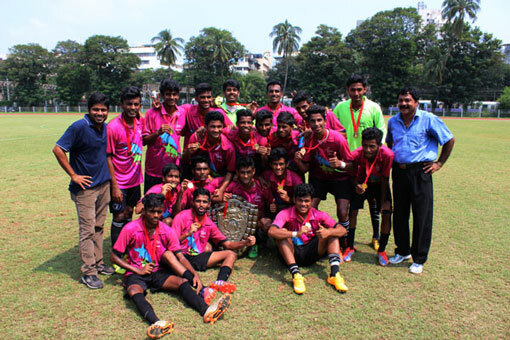 Pillai College of Arts Commerce and Science, New Panvel won the Silver Medal and Runners-Up position in the second consecutive year at Mumbai University Football Championship. A total of 198 colleges participated in the event. Final Year B.Com. 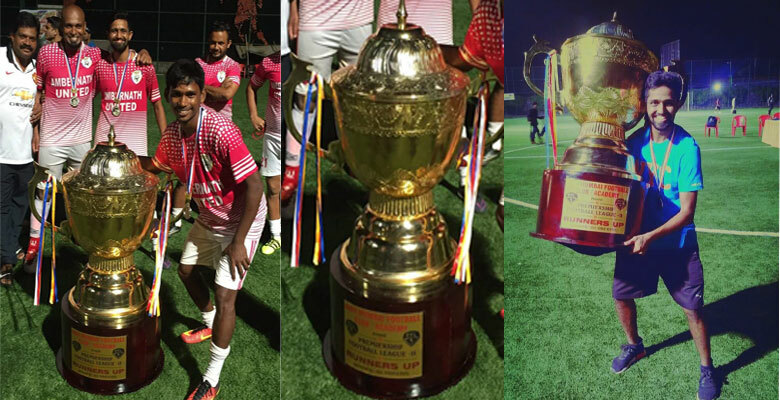 student Deepak Irmani of PCACS won the Silver Medal of Mumbai University Football Tournament followed by his selection into the University squad and won Runners-up title at West Zone University title. Deepak also captained Mumbai University Football Team for All India Intervarsity Tournament. 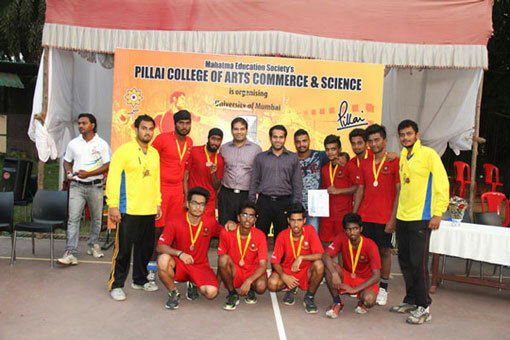 Pillai College of Arts, Commerce and Science, New Panvel Handball team won the Bronze Medal in the Mumbai University Inter Collegiate Handball Tournament held at Goregoan on 5th December, 2013. 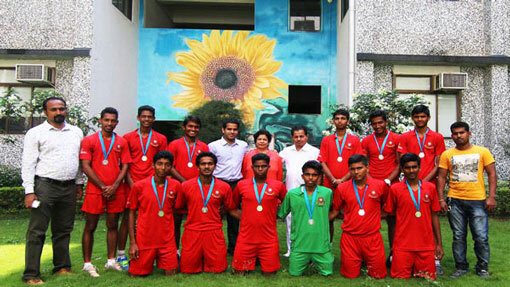 During their journey to the bronze medal the team beat a strong CKT College by a margin of four goals. Two students of T.Y.B.Com. 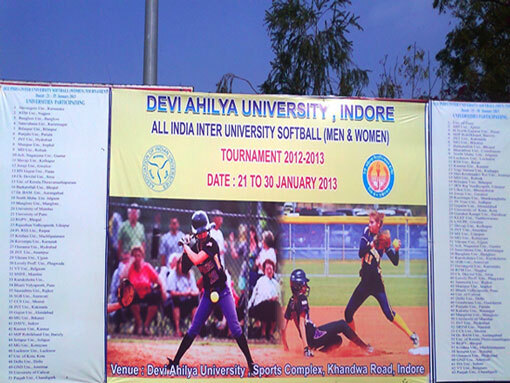 Mr. Taher Sevaliyawala (4291) and Mr. Siddhant Upadhye (4321) were selected to play for University of Mumbai in the All India Inter University Softball Tournament 2012-13 held at Devi Ahillya University, Indore from 21st January to 30th January, 2013. Mumbai University's first match was against Hyderabad University and our university won the match with a score of (3-1) on 26th January, 2013, Saturday. With this result, Mumbai University (inclusive of our two main players) moved to the second round against Nanded University on 27th January, 2013, Sunday. In this match we were dominant enough to defeat Nanded University with a score of (14 - 1) and moved to the third round (Pre Quarters) against Mangalore University in which the match was lost with a score of (7 - 9) on 28th January, 2013, Monday. Capitalizing the excellence of Riya Pillai (F.Y.B.Com. 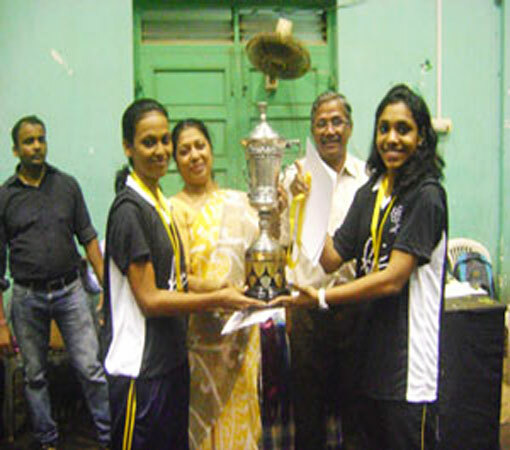 ), The College Women Badminton Team won the title of Mumbai University Badminton Championship first time in the history and adjudged the 66 years old (1946) Ever rolling Champions trophy of Mumbai University Badminton(w) Championship, where a total of 146 colleges made their entry in to the fray. In the team title event after entering in to the pre quarter stage the Doubles team partnered by Riya Pillai and Neha Lenka beat a strong Poddar College (2-1) and in the next stage the team was successful in holding the great name in University Badminton NM College (2-1). And on their way to final Riya supported by Neha over powered the Joshi Bedekar college and won the women team title for Pillai's. The team was co-ordinated and managed by Mr. Dhiraj Chindrankar. 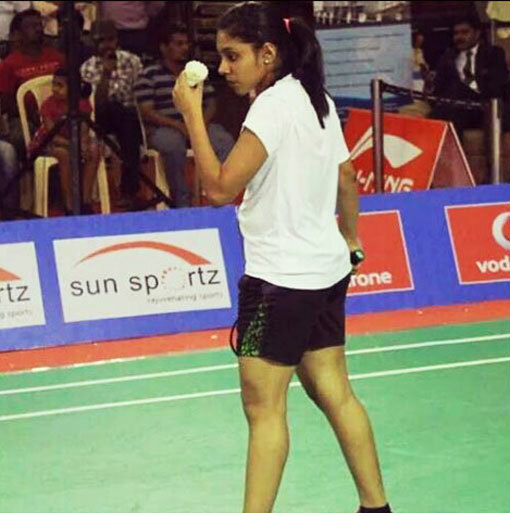 In the Individual Singles Riya never look back as she beat St. Andrews, Vinisha (21-5) and in the Semifinals Riya beat a well-equipped Anagha of Ruparel (30-10) as the format was amend by the University. 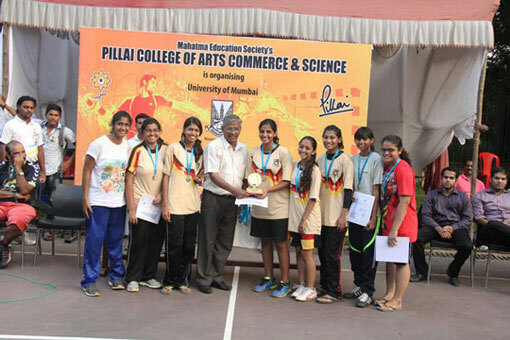 In the finals Riya beat Aishwarya of Ruia (30-12) and emerged as a champion for Pillai's College. 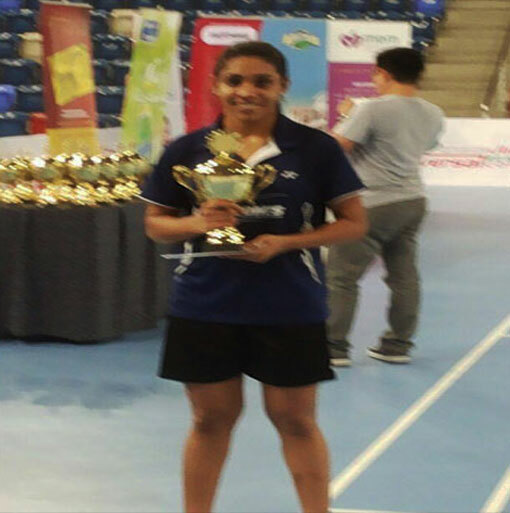 Neha Lenka is a final year graduation student with Pillai College of Arts Commerce &Science is an outstanding sports person who won Gold Medal in University of Mumbai Athletics Championship also won Gold at Mumbai University Badminton (doubles) Championship along with Riya Pillai. 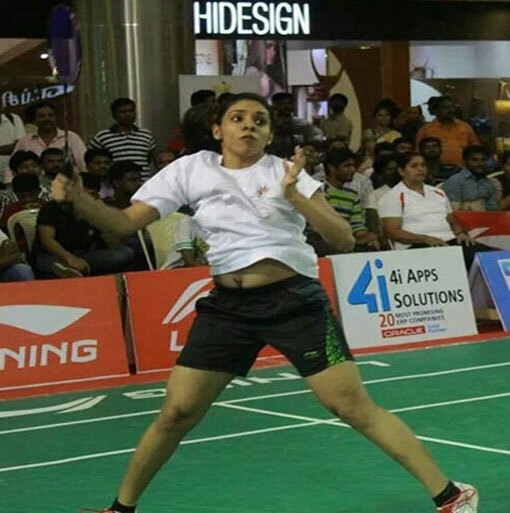 She is a star member of college Ball Badminton team which won the University title consecutively for many years. PCACS Student Sayali Gharat of T.Y.B.M.S. secured 2 Silver Medals in High Jump and Heptathlon event. 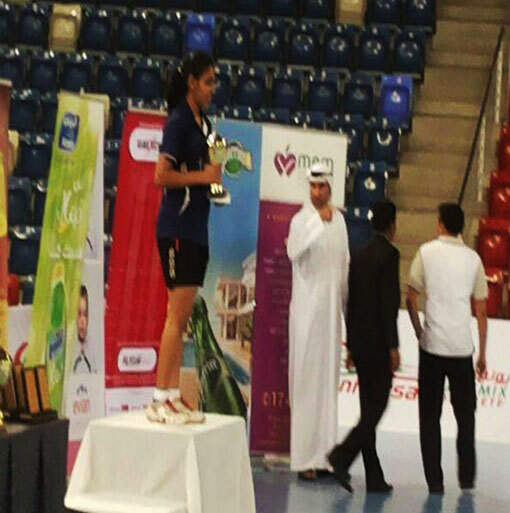 Shruti Talnikar, T.Y.B.Com., PCACS student is a National Table Tennis Player. 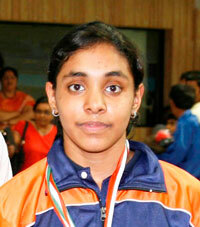 She represented India in Asian Junior Championship and Indian Railway for the National Championships. She seeded No.1 in Maharashtra Women Category. Our S.Y. B.M.M. student, Ms. Aishwarya Sridhar is very fortunate to have been awarded the Sanctuary Asia's Young Naturalist Award in 2011. She has written more than 50 poems on natures which have been published in many leading newspapers and wildlife magazines like Sanctuary Asia and Saevus. A conservationist at heart, she has conducted nature trails for students to spread the message of conservation. She also conducts campaigns at various schools on the need to preserve our environment. She was also a part of the NDTV Save Our Tiger Campaign 2010 and 2012 had come live form Mumbai with Bollywood Actress Dia Mirza to recite her poem on Tiger Poaching. 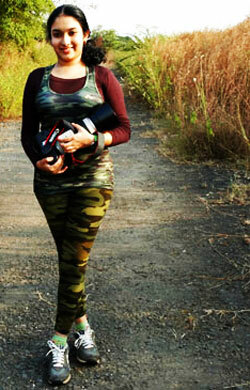 Some of her wildlife photographs had been showcased in an exhibition at Pune. Her photograph of a mother sparrow feeding its chick won the second prize in the World Photography Competition by PAWS. Also her poem on sparrows won the 2nd prize in the World Poem Writing Competition by PAWS. Three photographs of her were displayed at the 34th International Codisssa Exhibition. She won a special mention too for one of the picture. Recently three pictures taken by her were selected for "Aves", which is an All India Bird Fest. Suryakumar Yadav - "A Star in the Making"
Mahatma Education Society would like to congratulate Pillai College of Arts, Commerce and Science (PCACS) student Suryakumar Yadav for winning the MA Chidambaram Trophy for the Best Under-22 cricketer of the year award at the BCCI Awards Ceremony held in Chennai on December 10, 2011. He scored 721 runs at an average of 80.11 in seven matches, inclusive of two centuries and four half centuries in the calendar year. 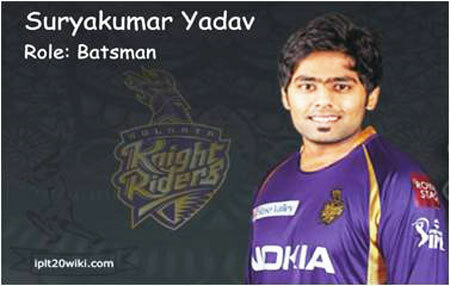 Suryakumar Yadav has not looked back since playing a starring role in the finals of the Champions League Twenty 20 Cricket tournament in which his team, the Mumbai Indians defeated the Royal Challengers from Bangalore. He has followed that achievement by scoring a double hundred for Mumbai against Orissa in a Ranji Trophy game and then by scoring a cracking century against Saurashtra. He has been in brilliant form all season and if he continues this scoring trend he will definitely in consideration to play for the Indian Cricket National team pretty soon. The whole of Mahatma Education Society is behind Surya for him to fulfill his lifelong dream of playing for the national team one day. Good luck Surya!